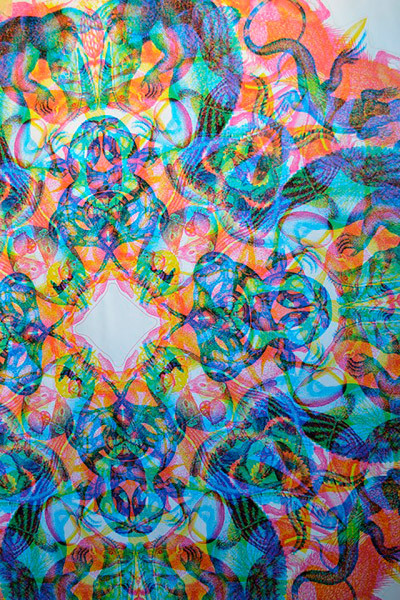 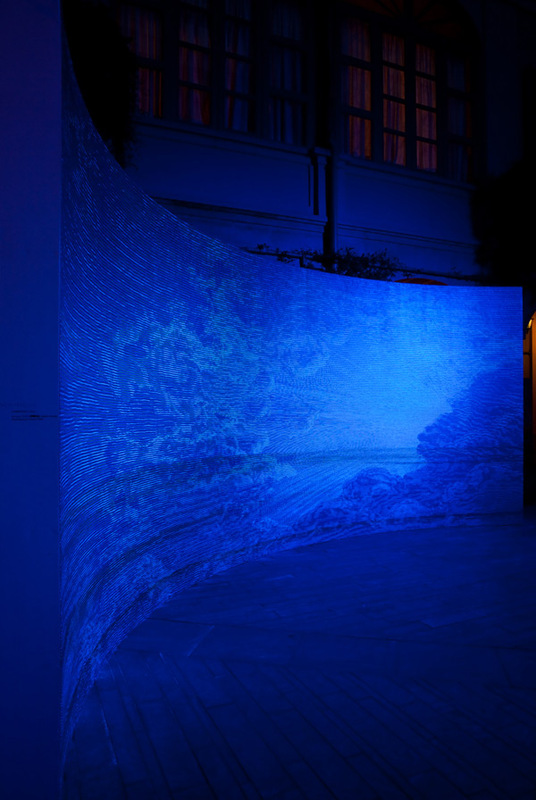 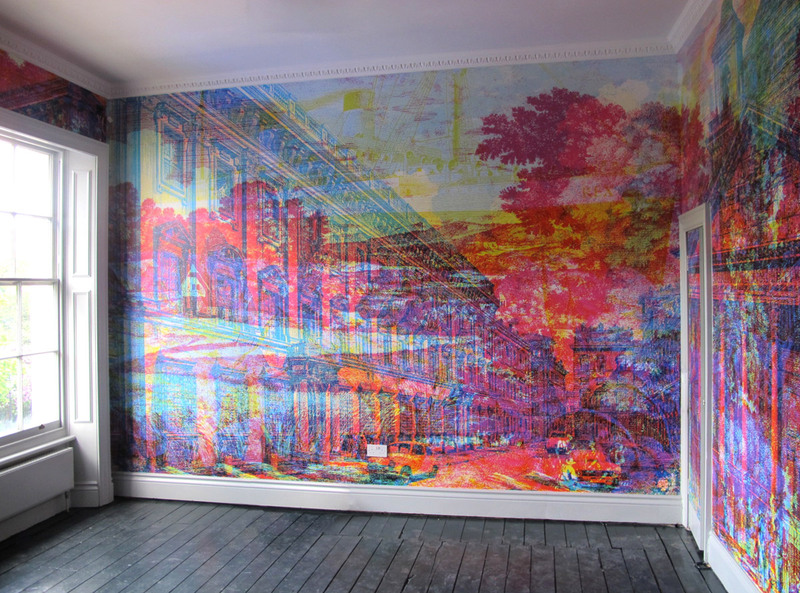 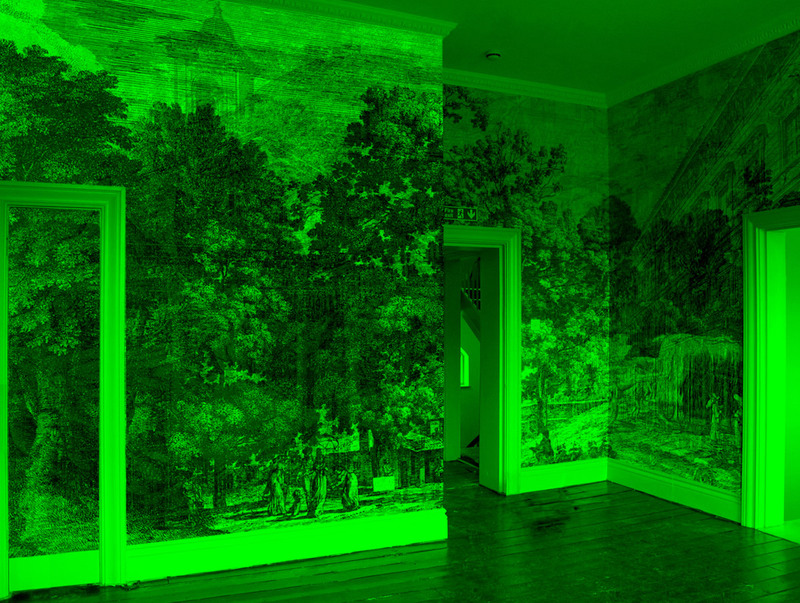 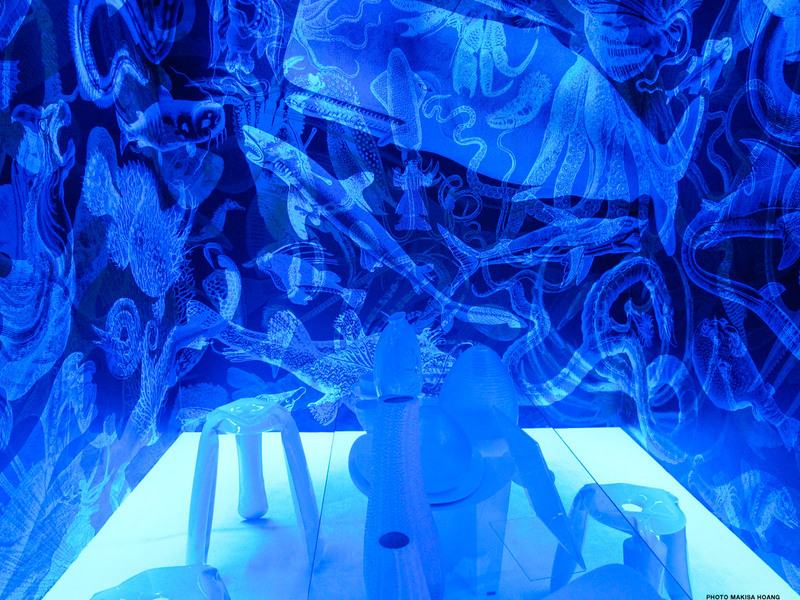 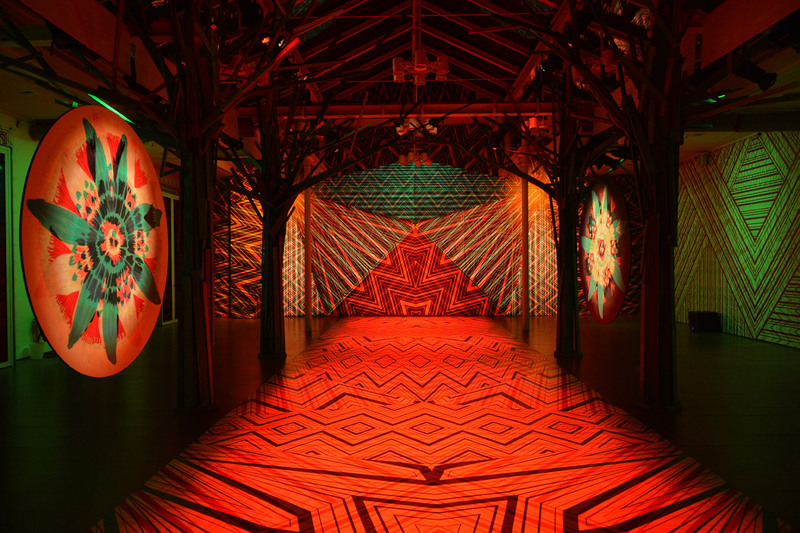 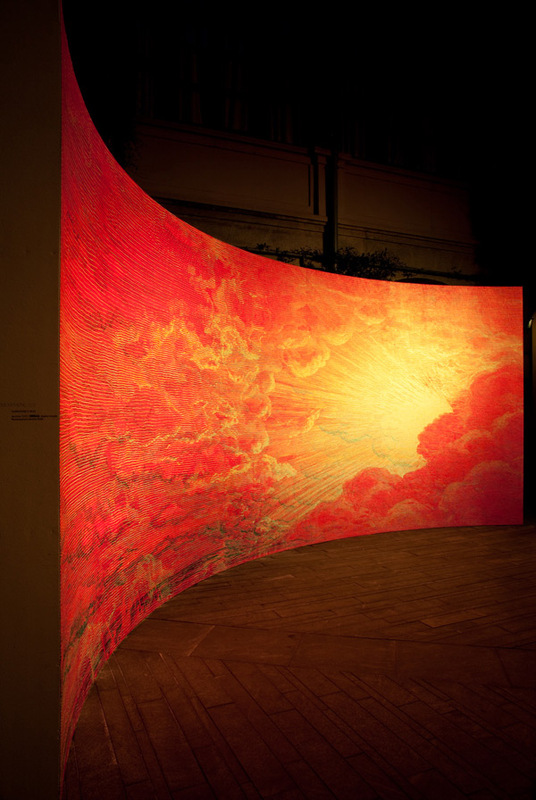 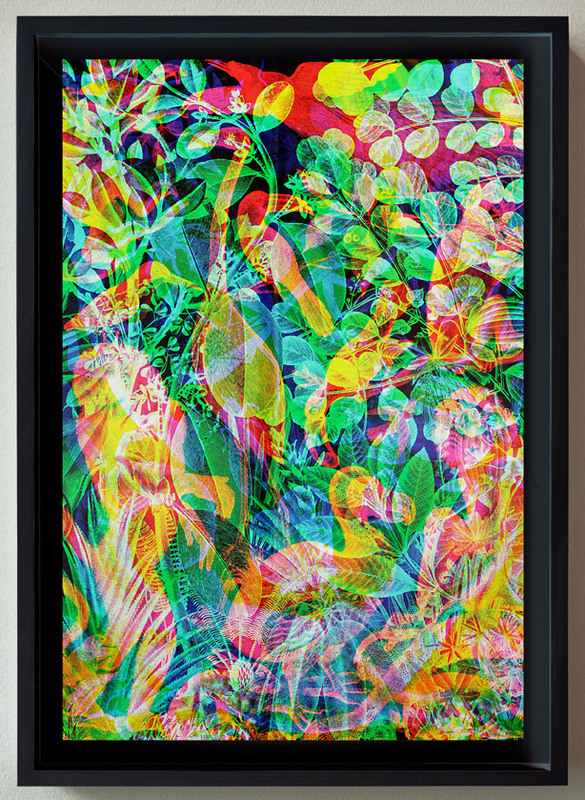 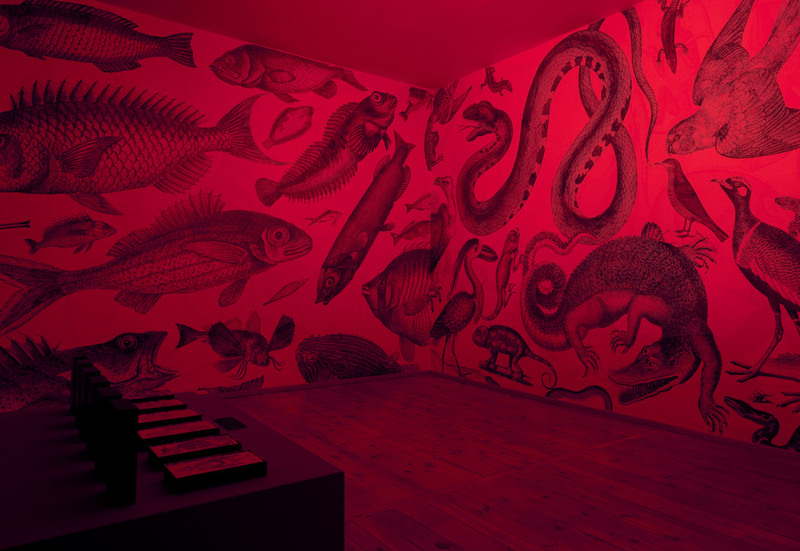 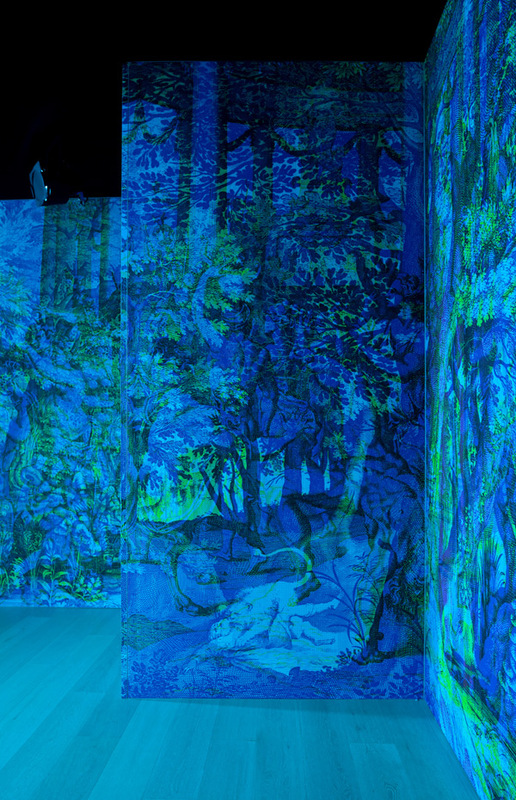 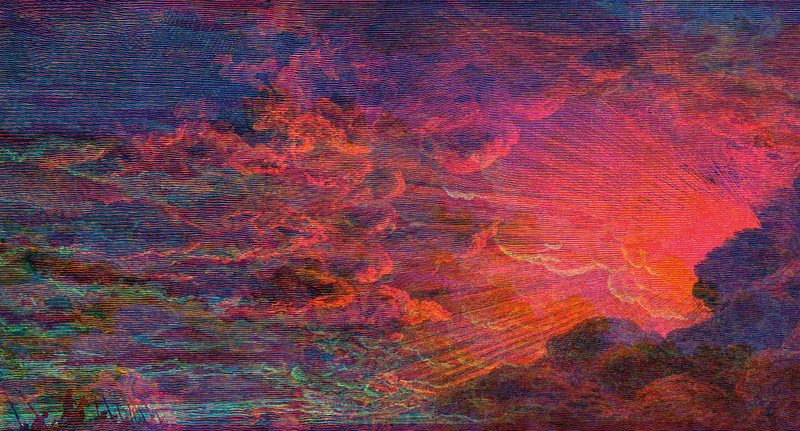 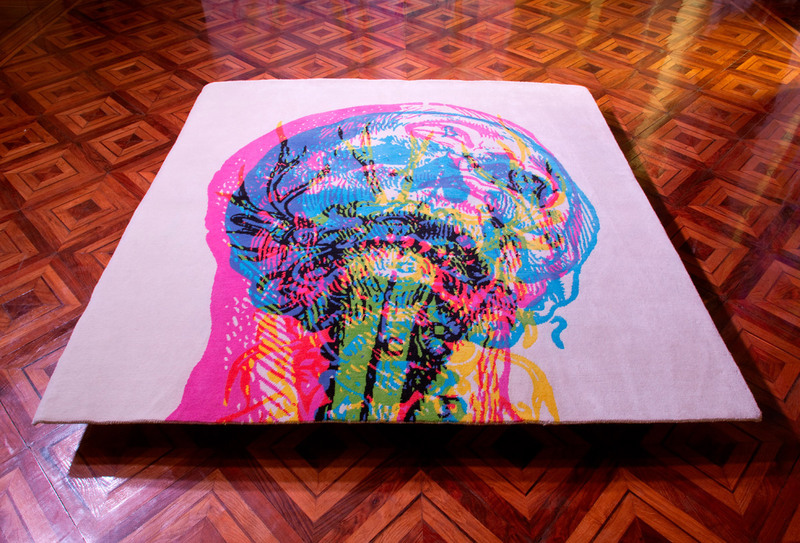 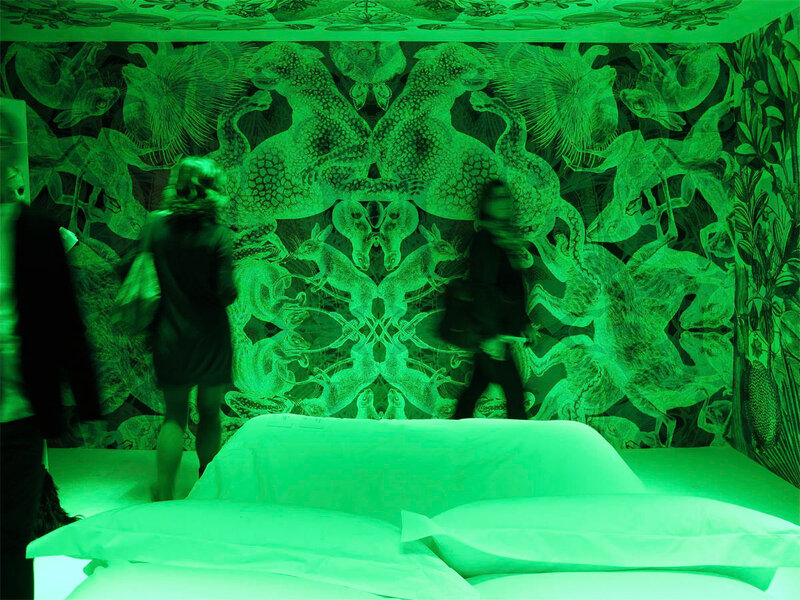 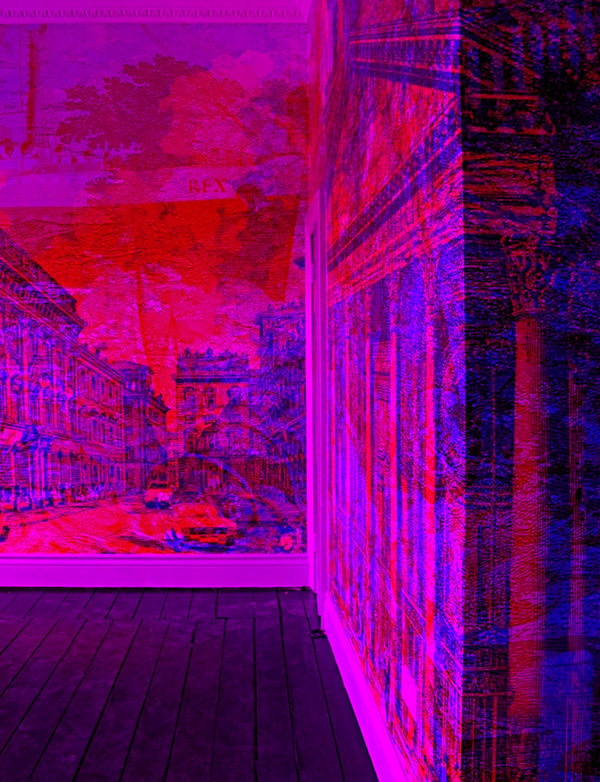 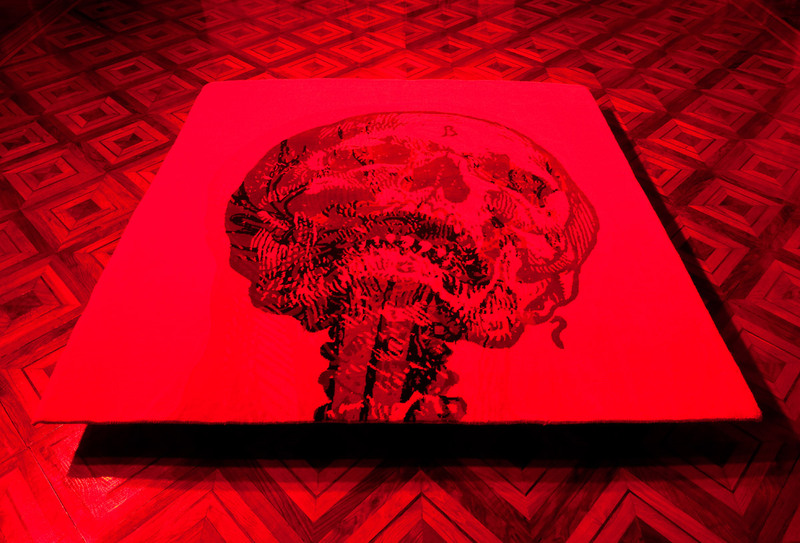 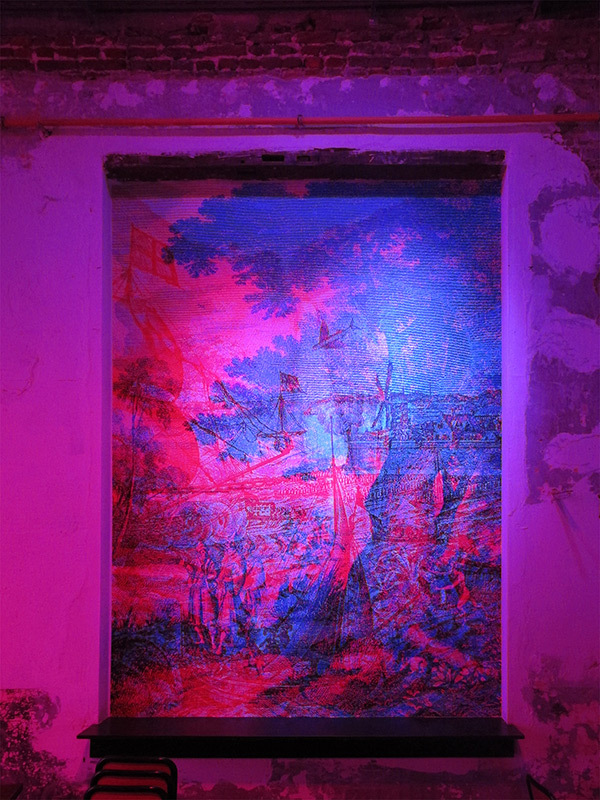 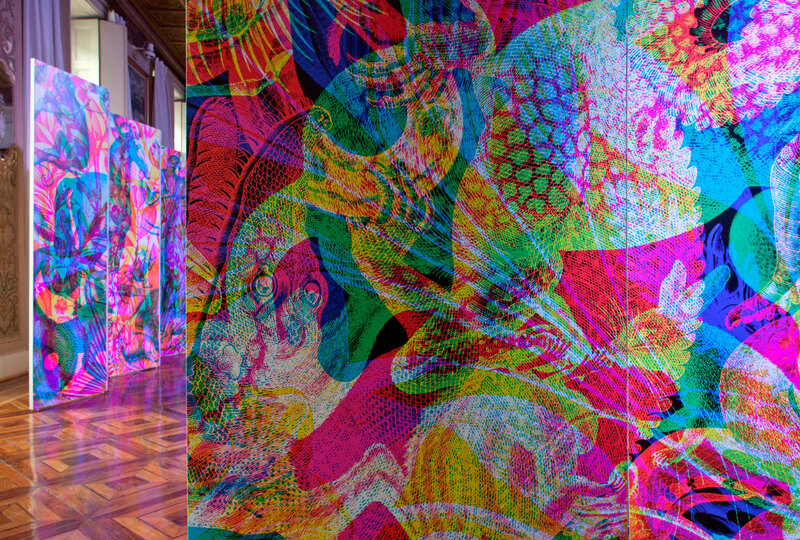 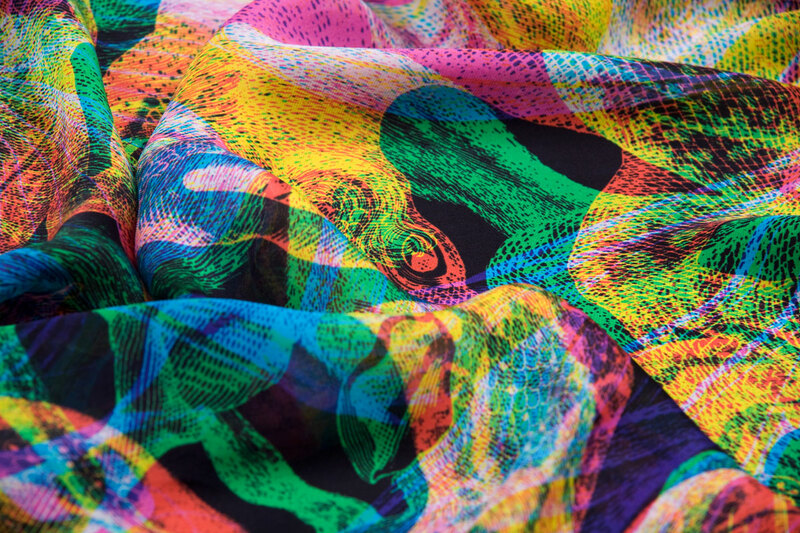 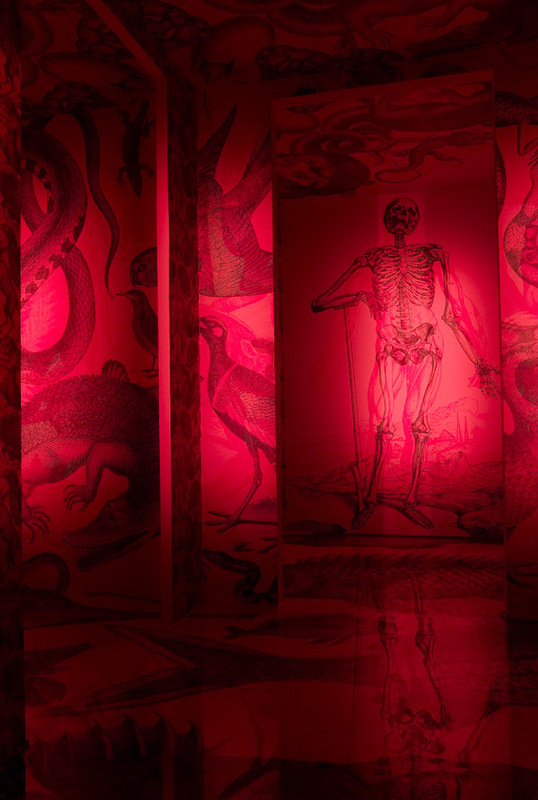 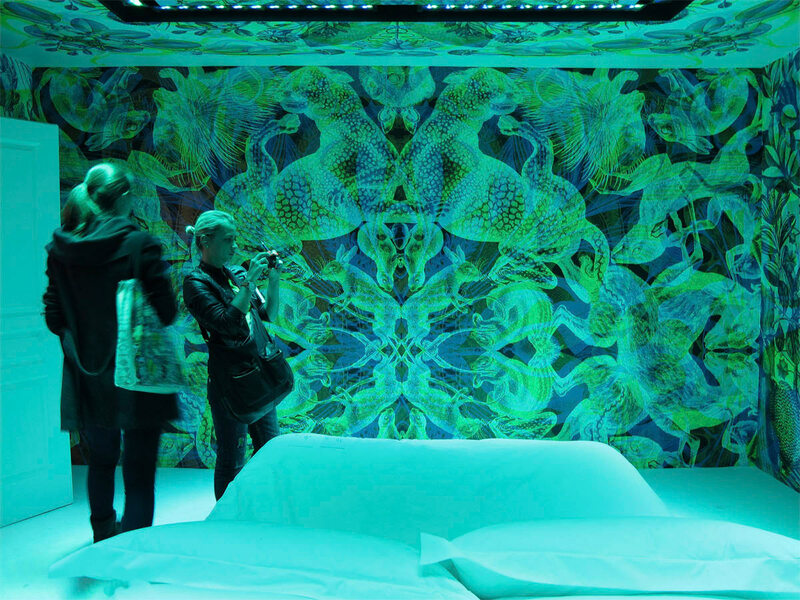 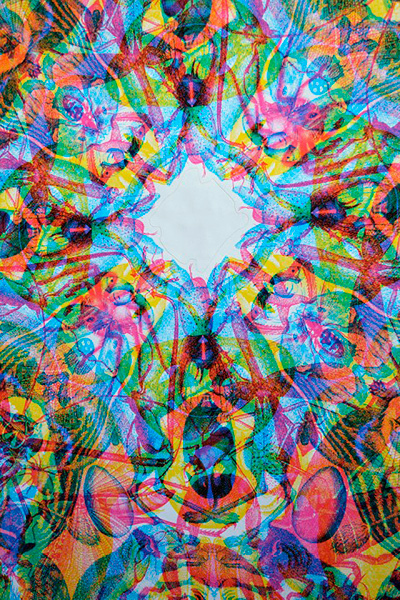 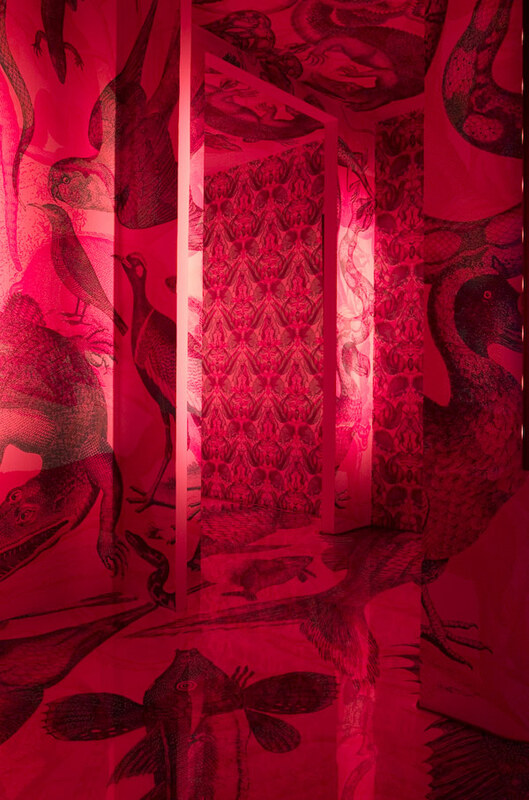 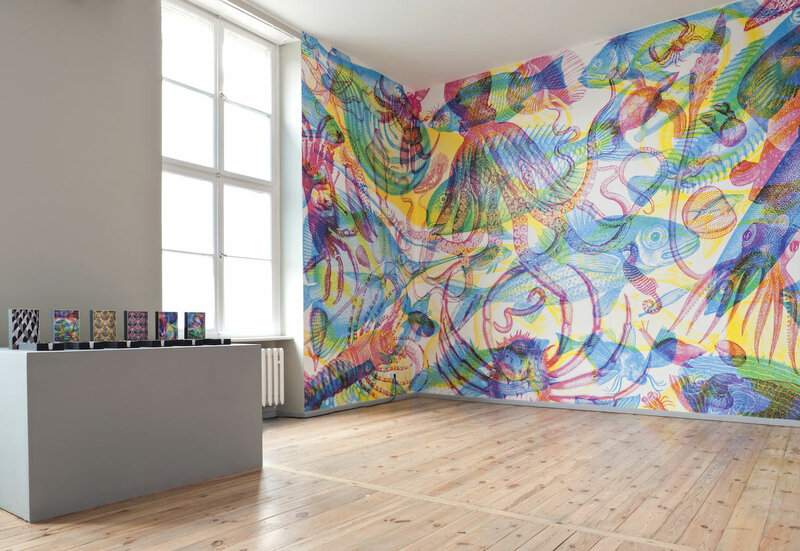 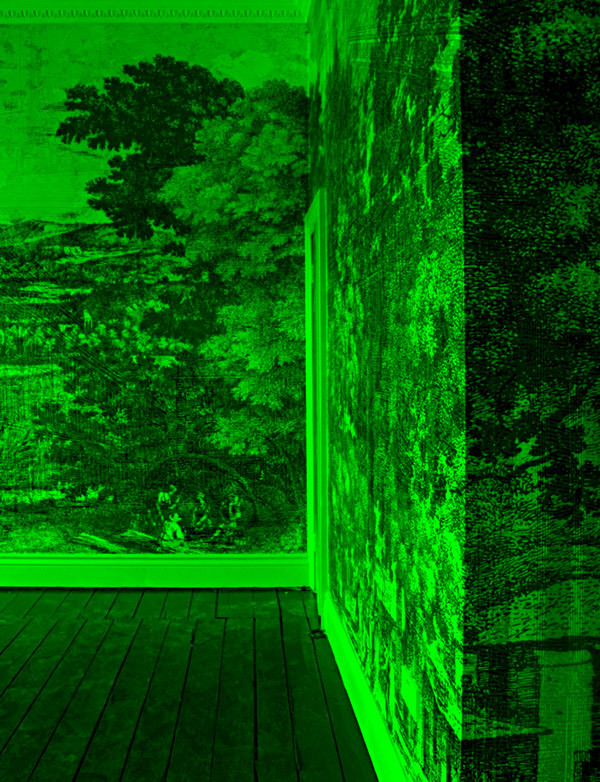 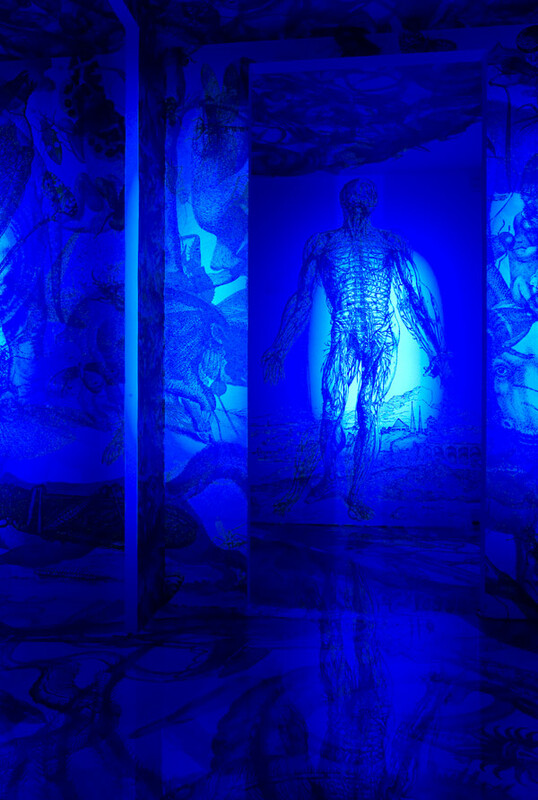 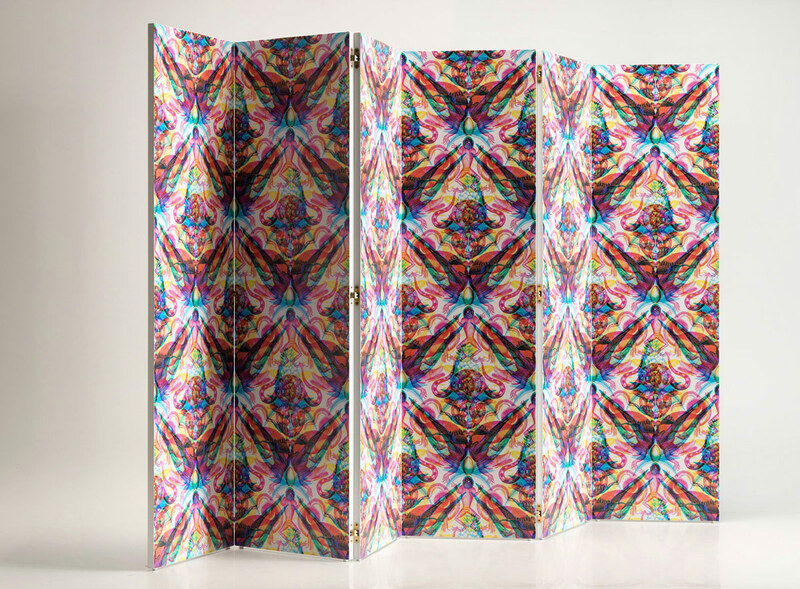 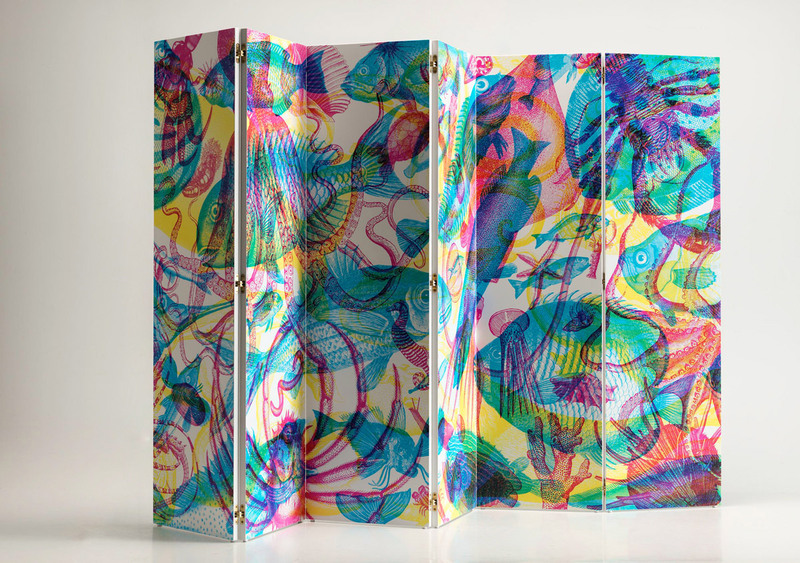 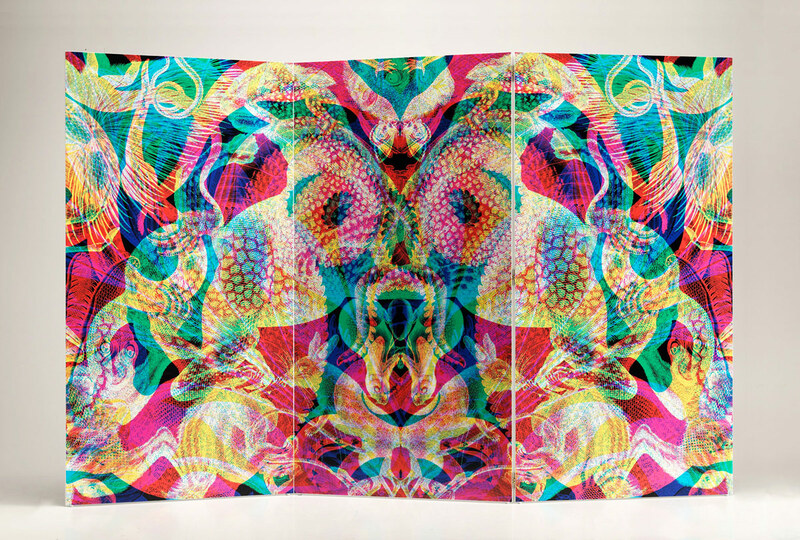 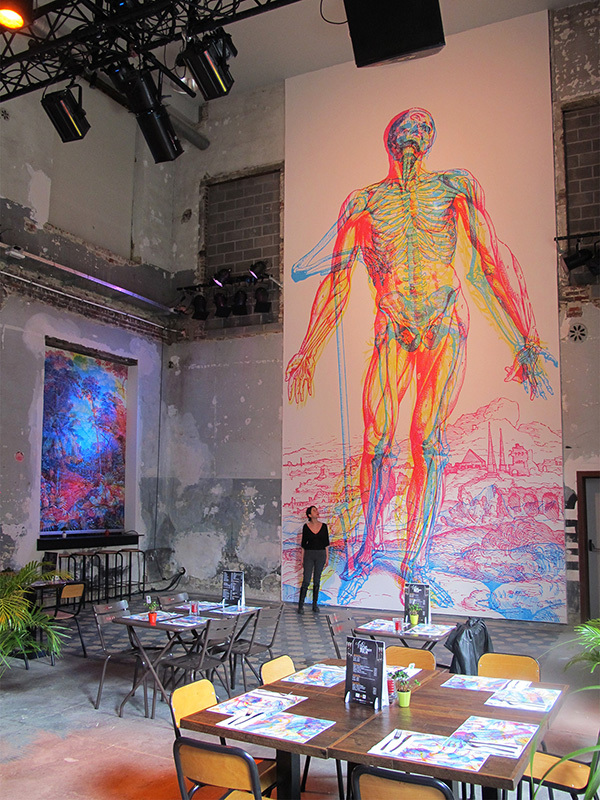 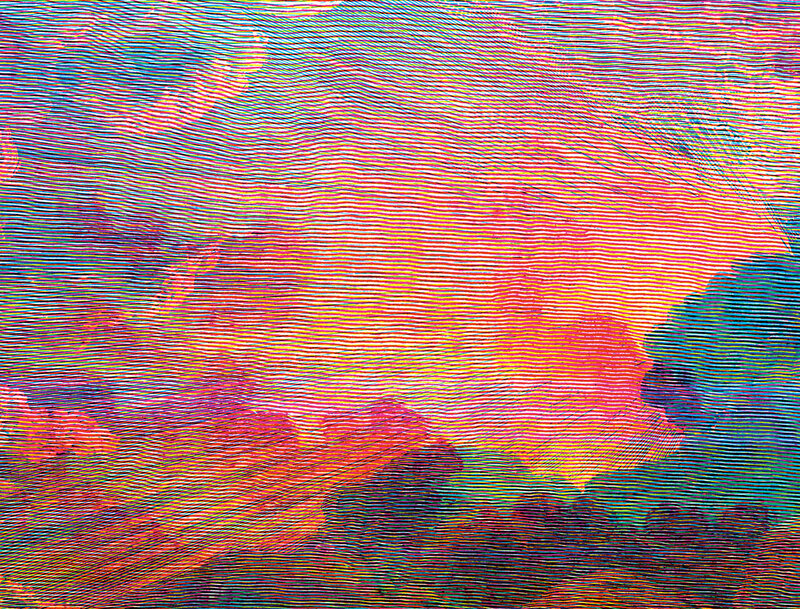 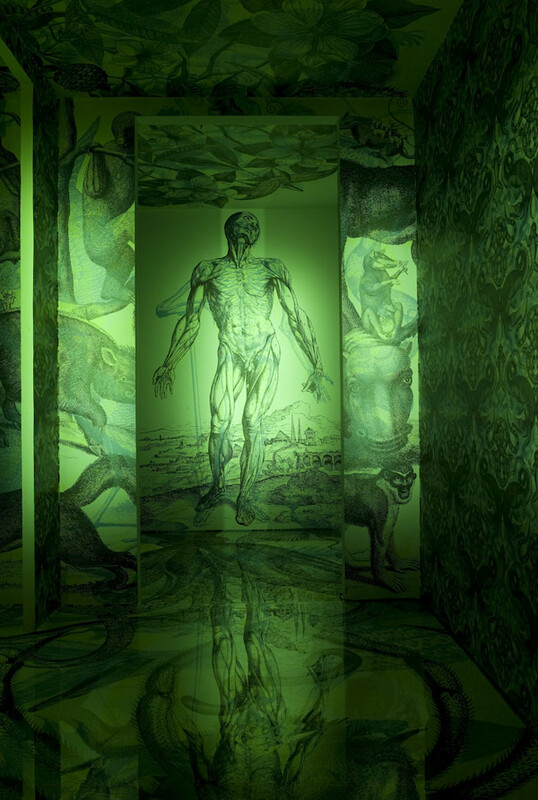 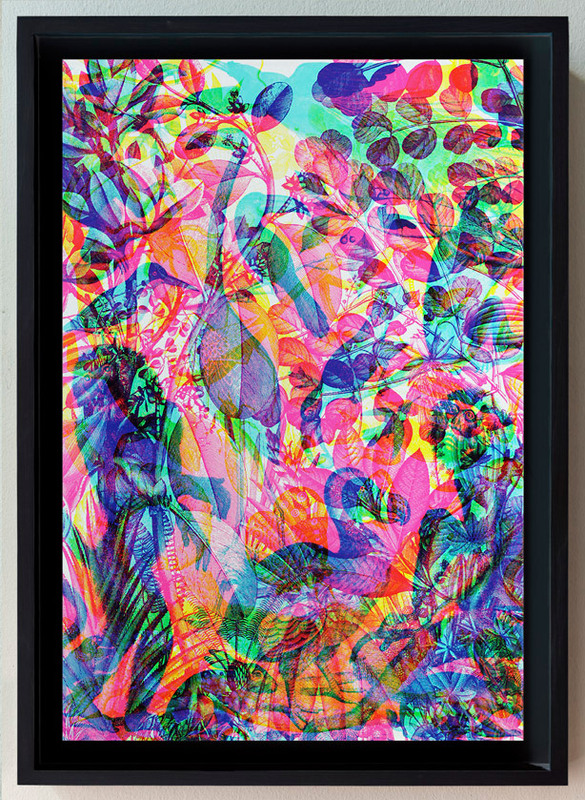 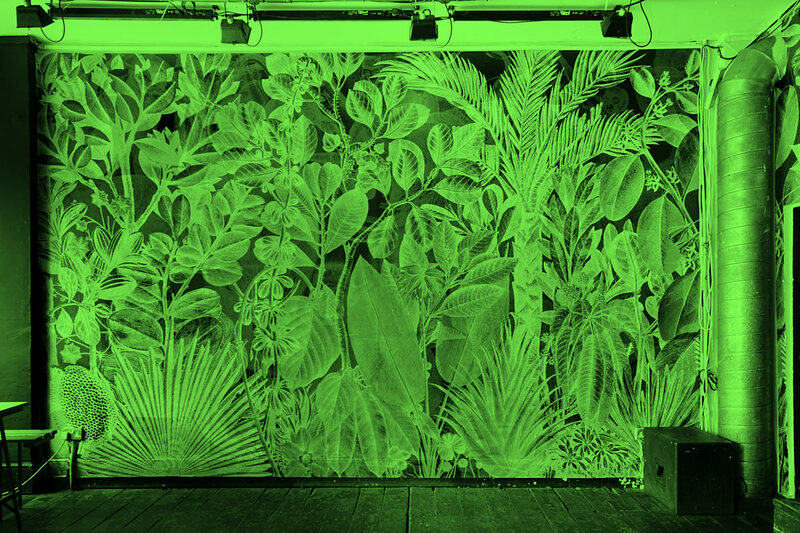 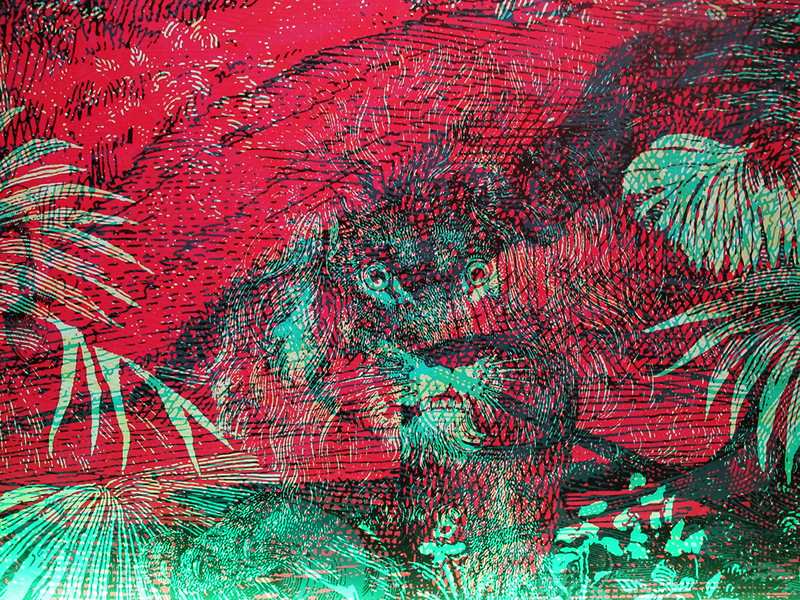 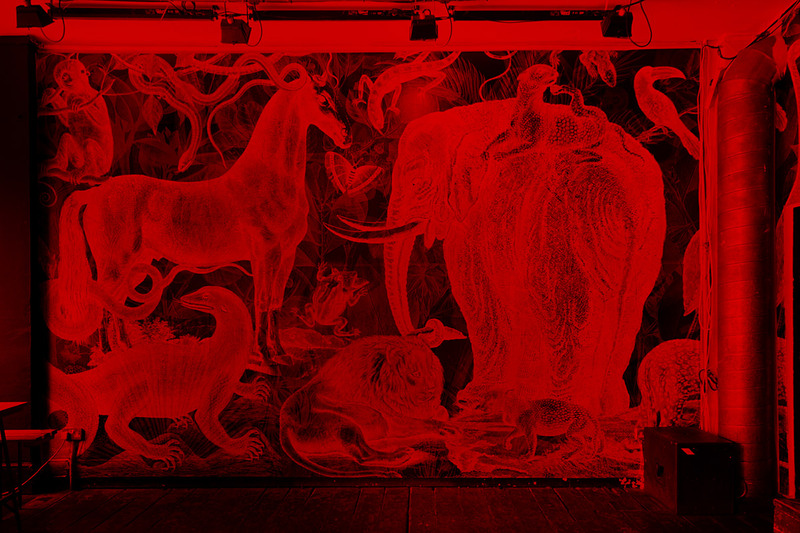 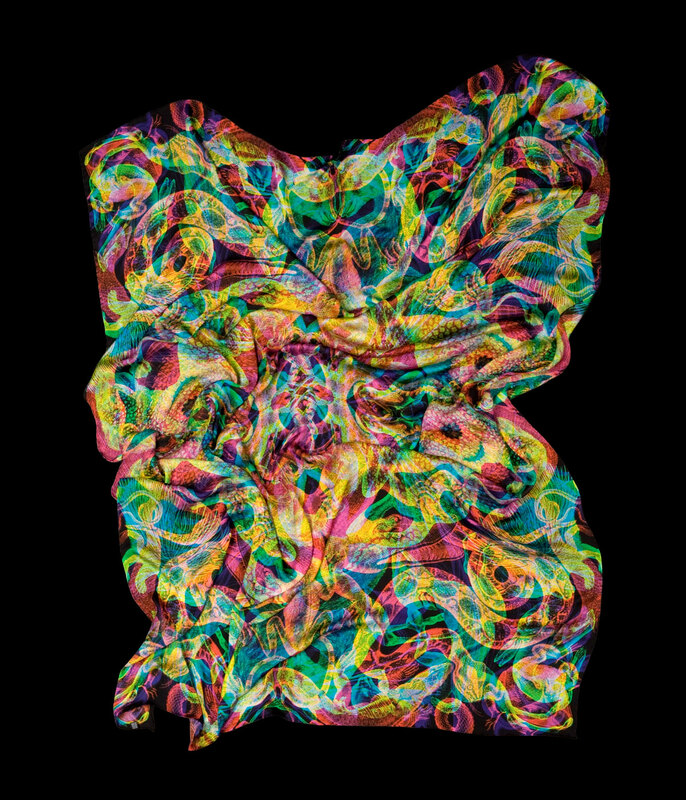 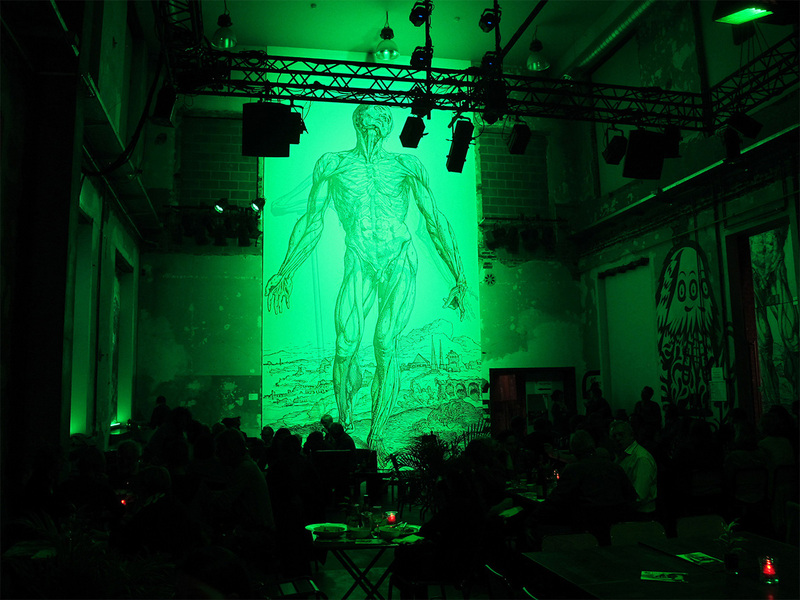 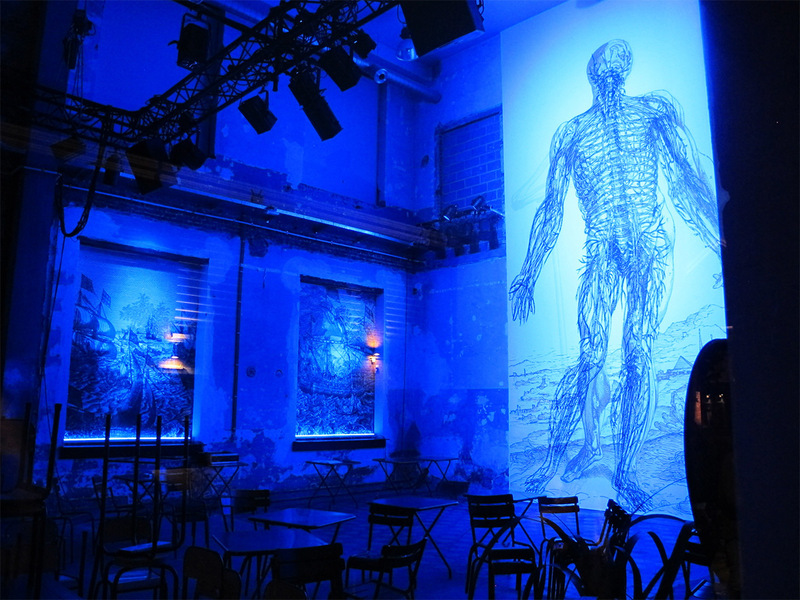 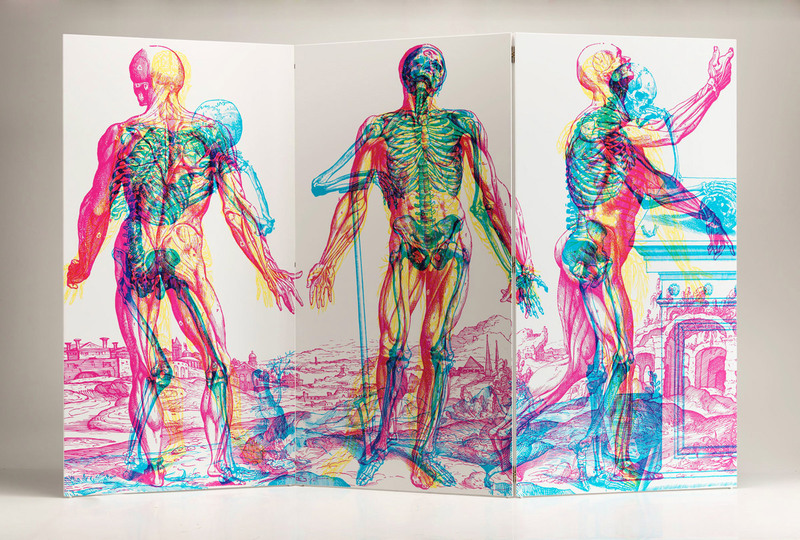 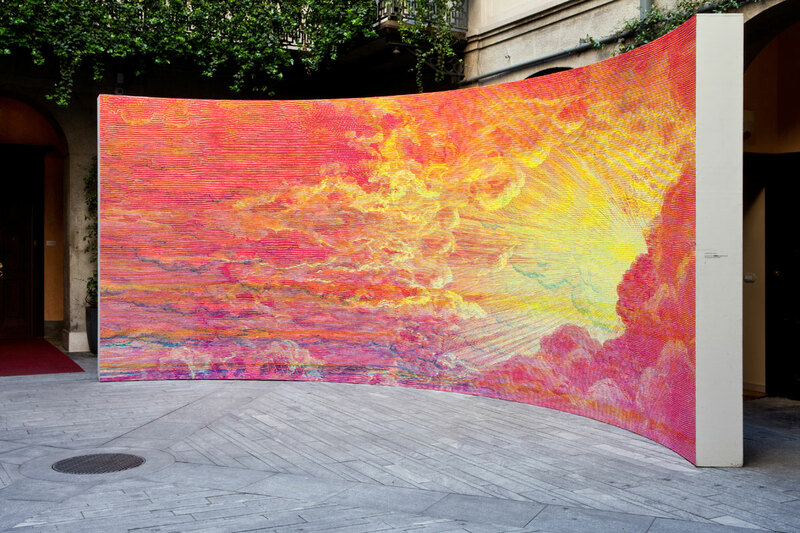 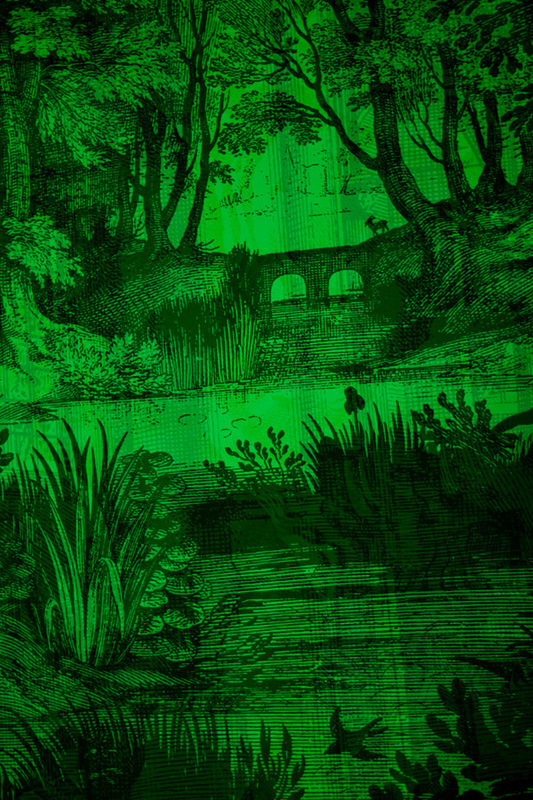 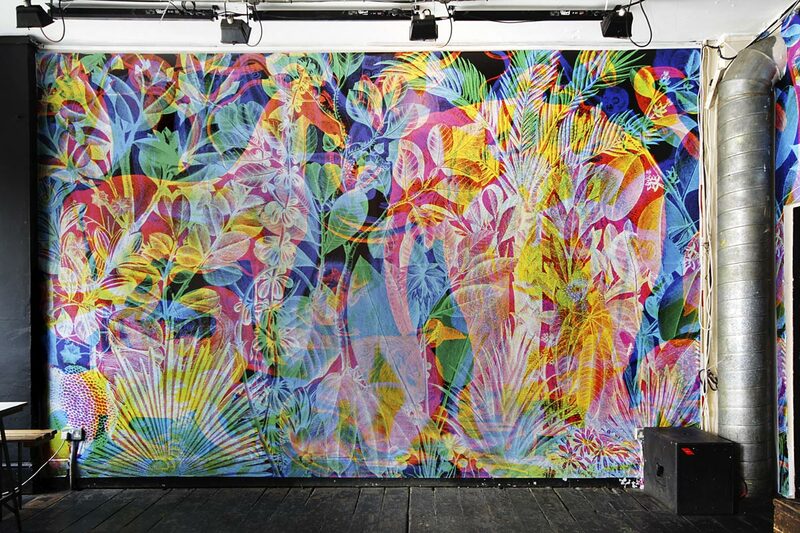 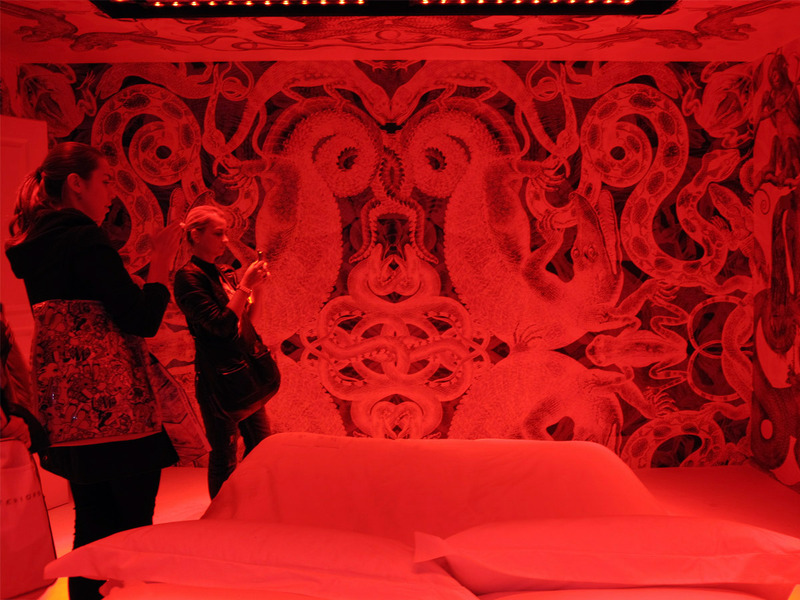 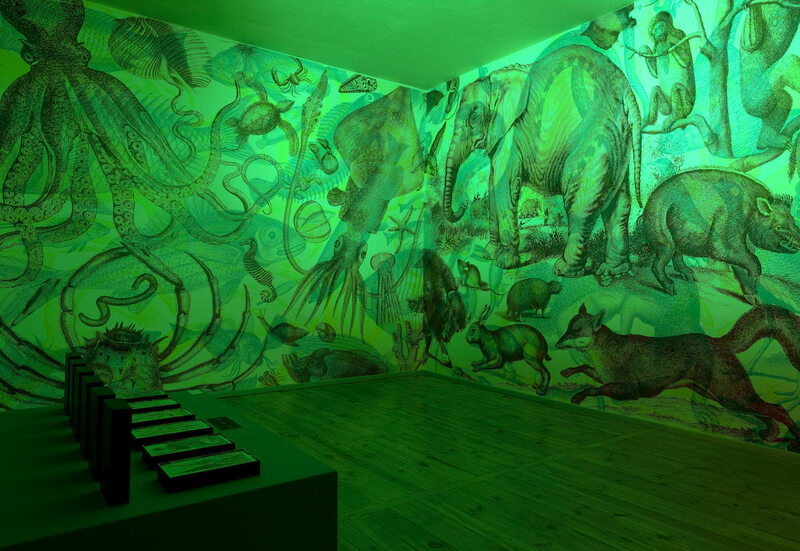 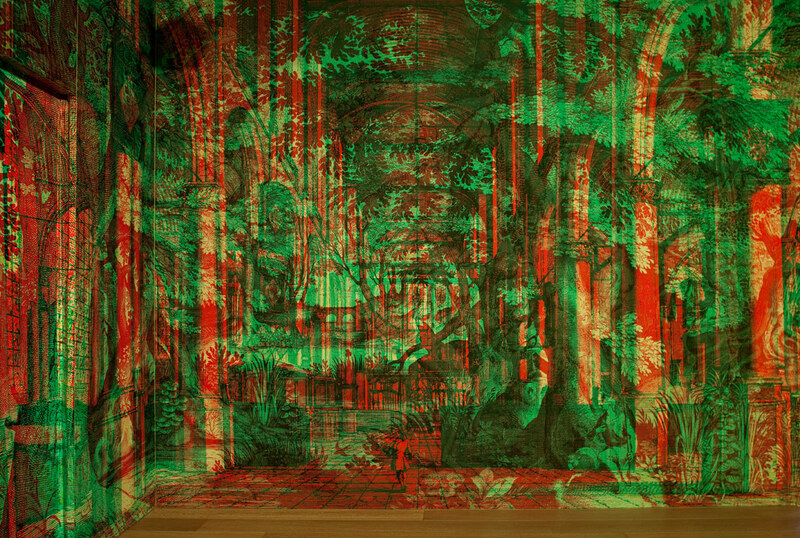 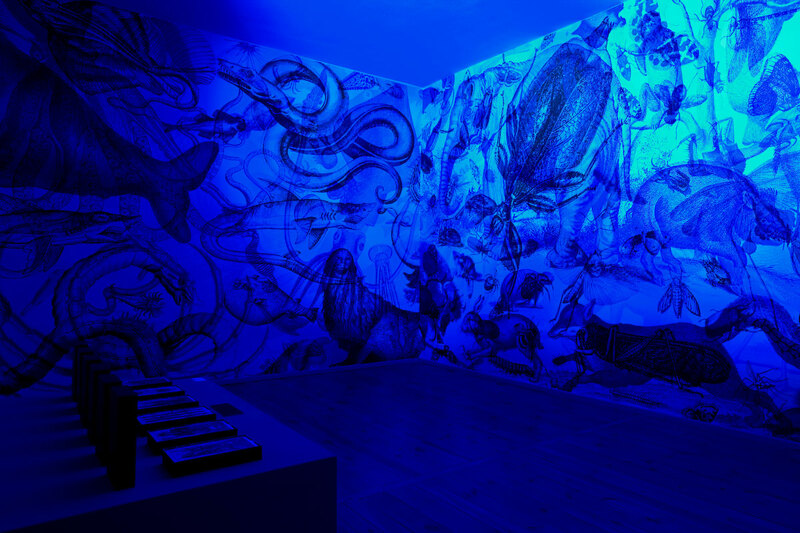 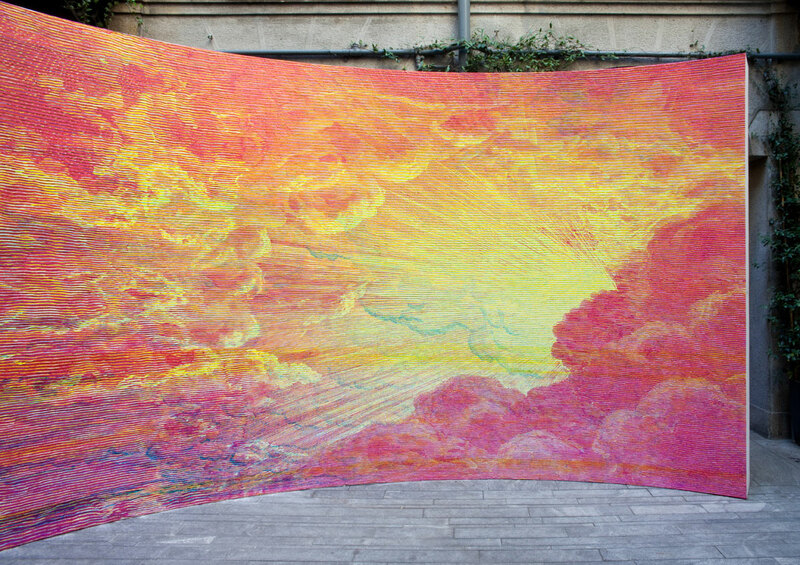 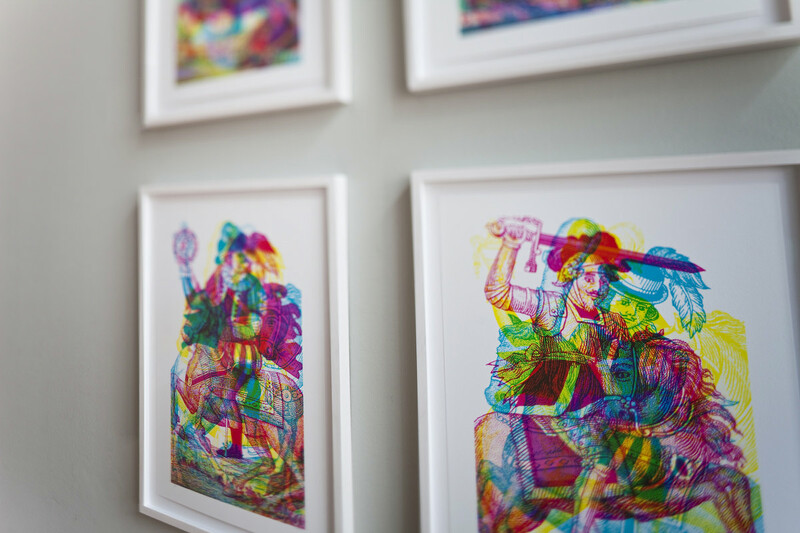 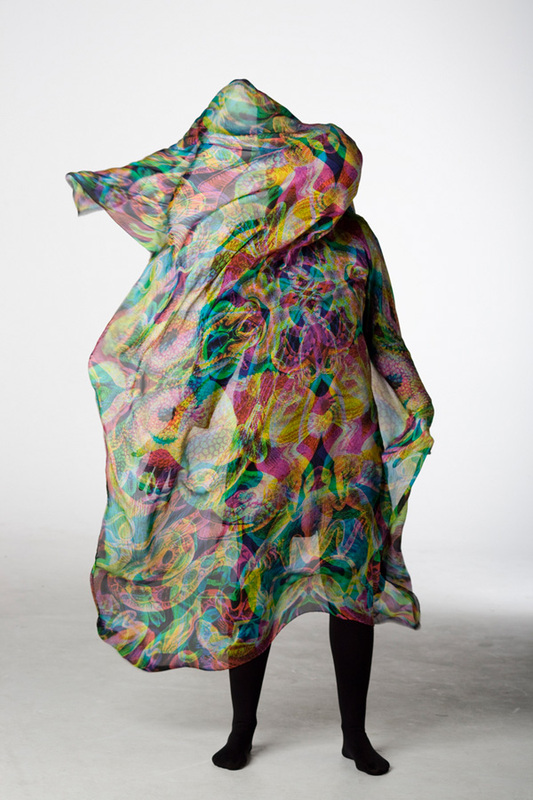 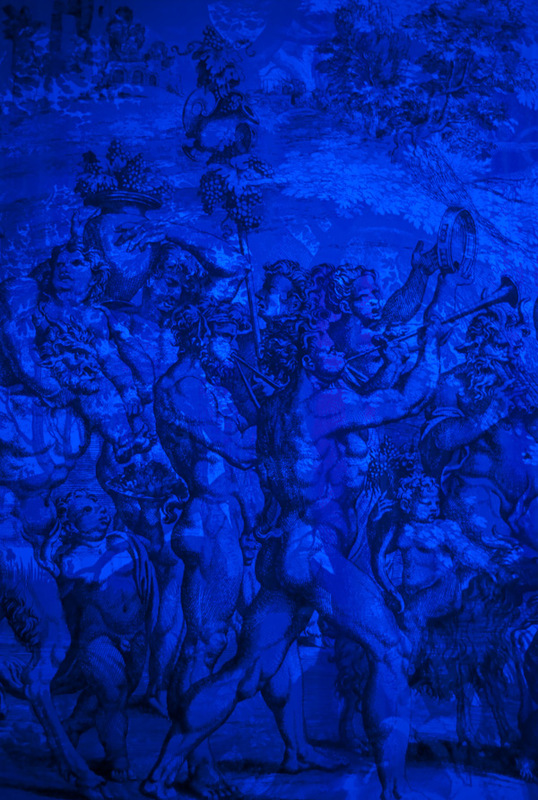 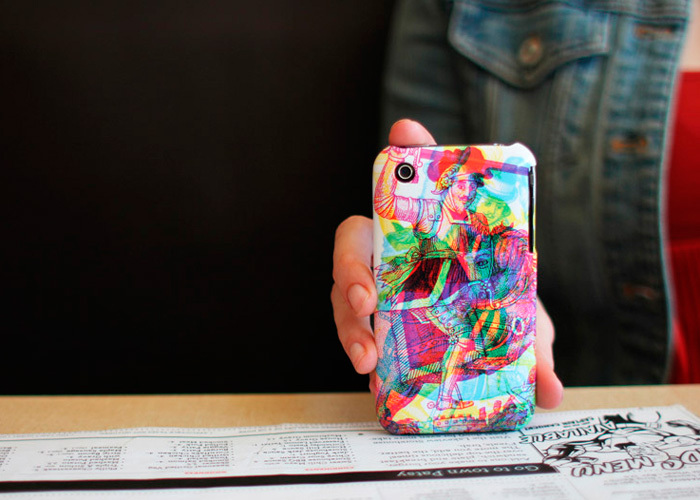 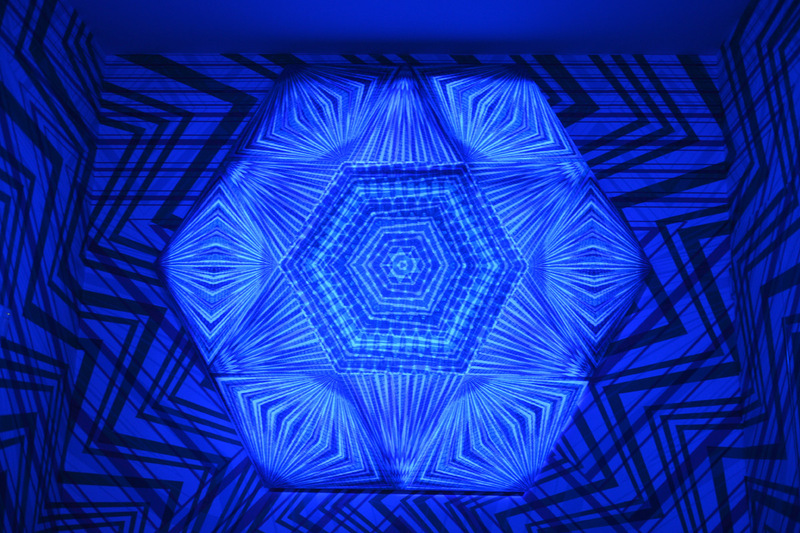 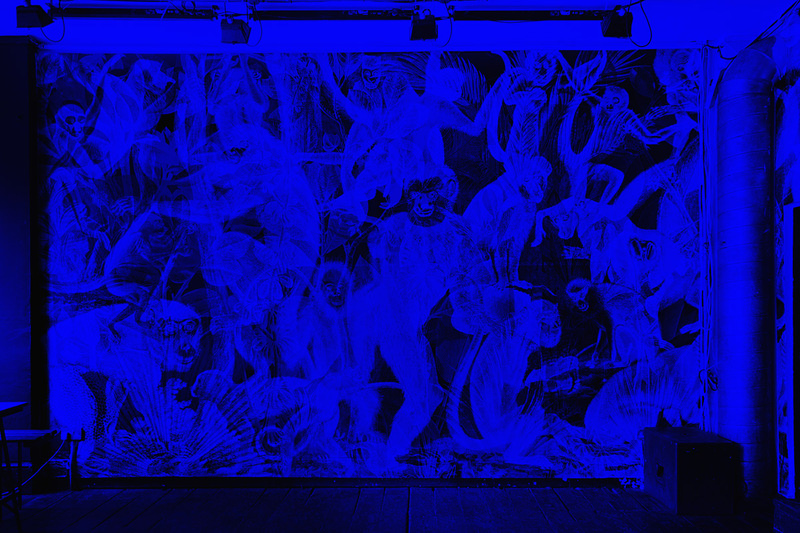 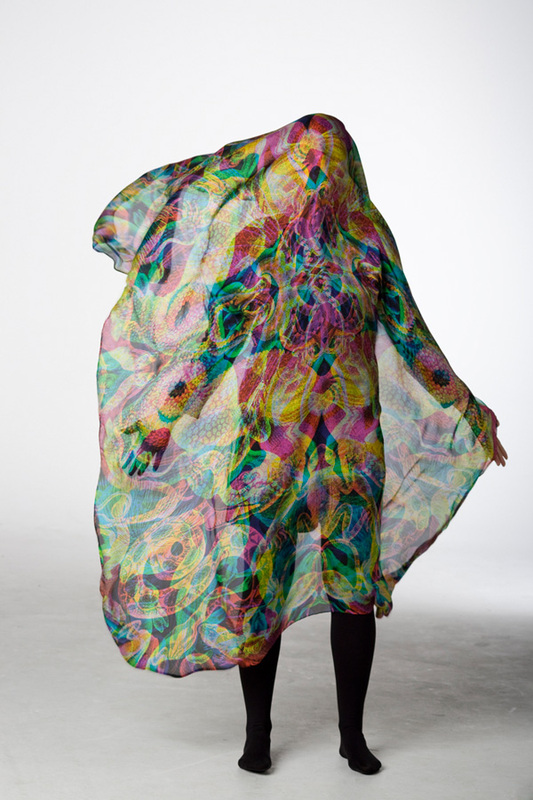 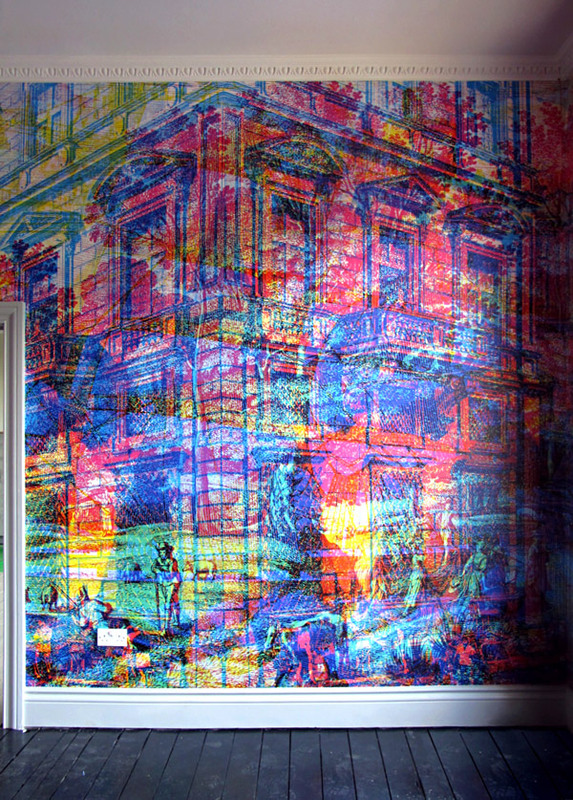 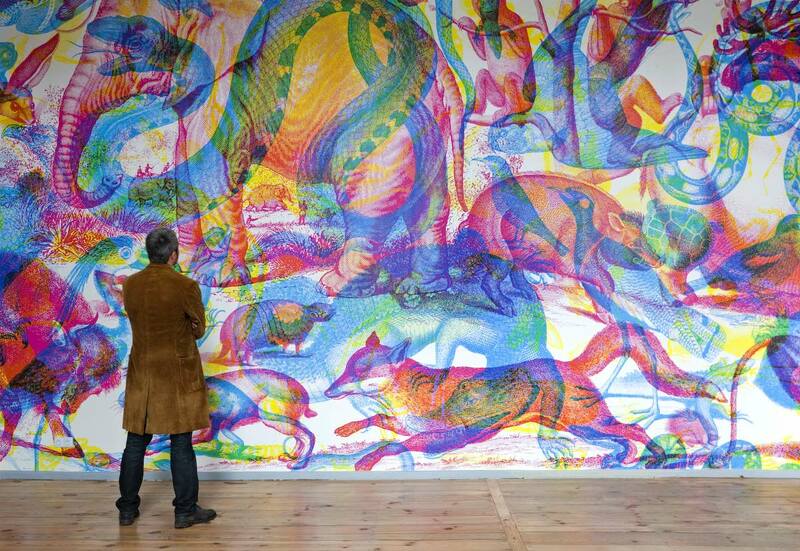 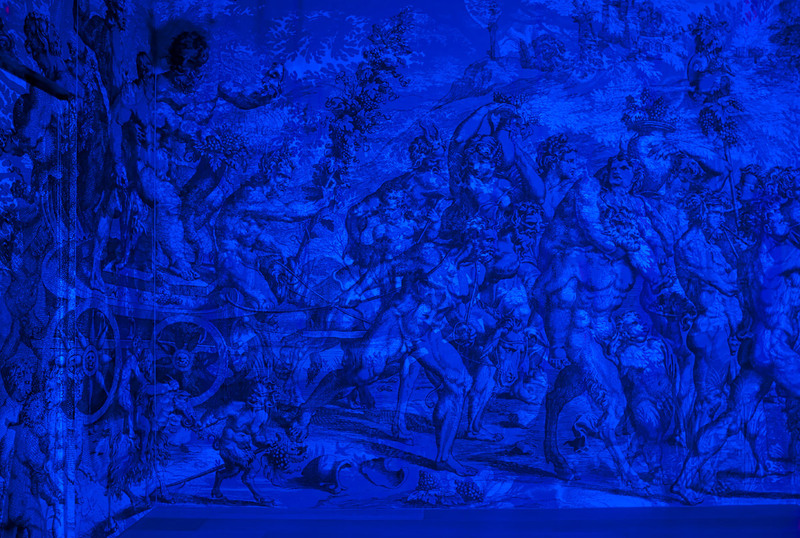 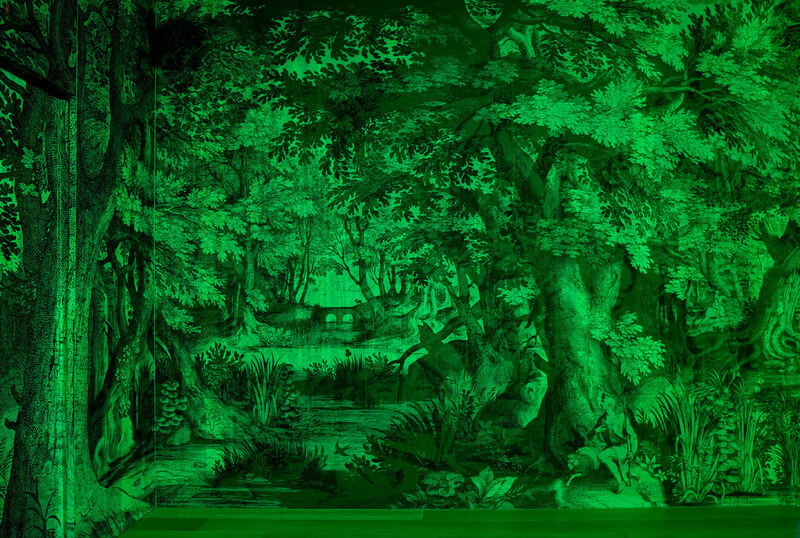 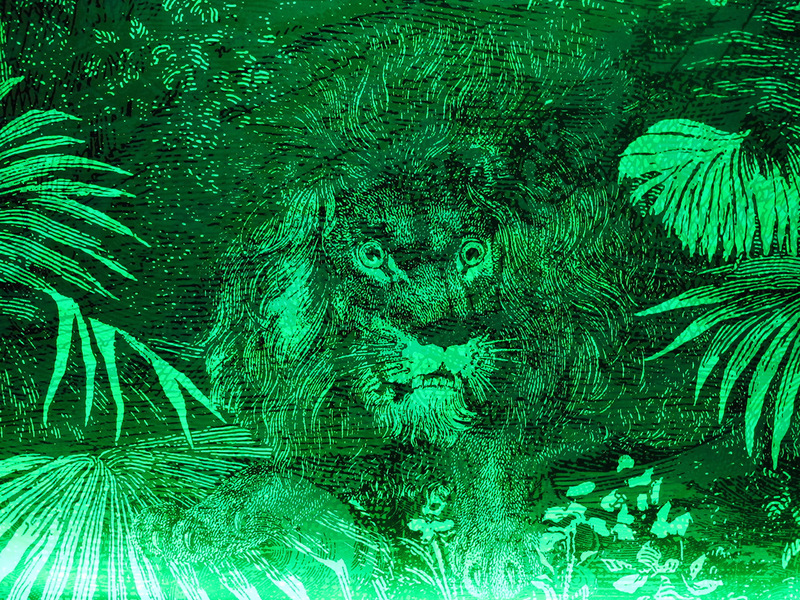 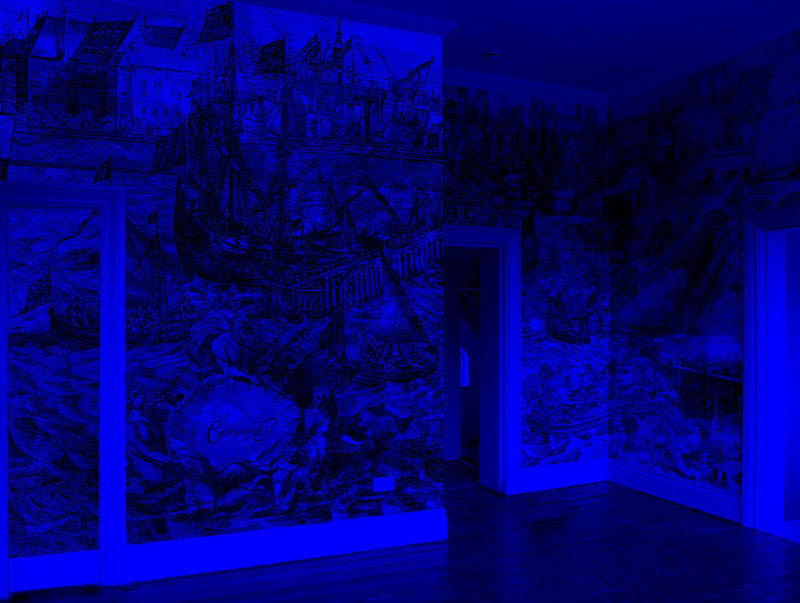 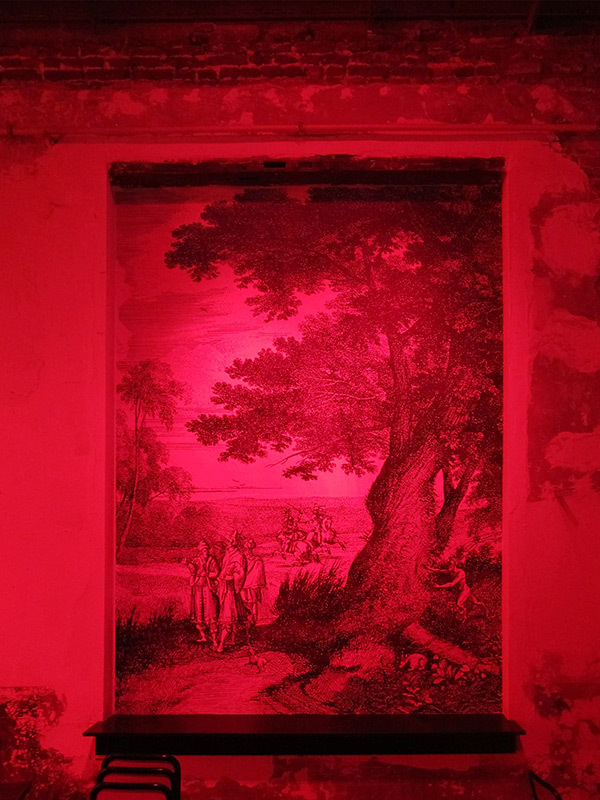 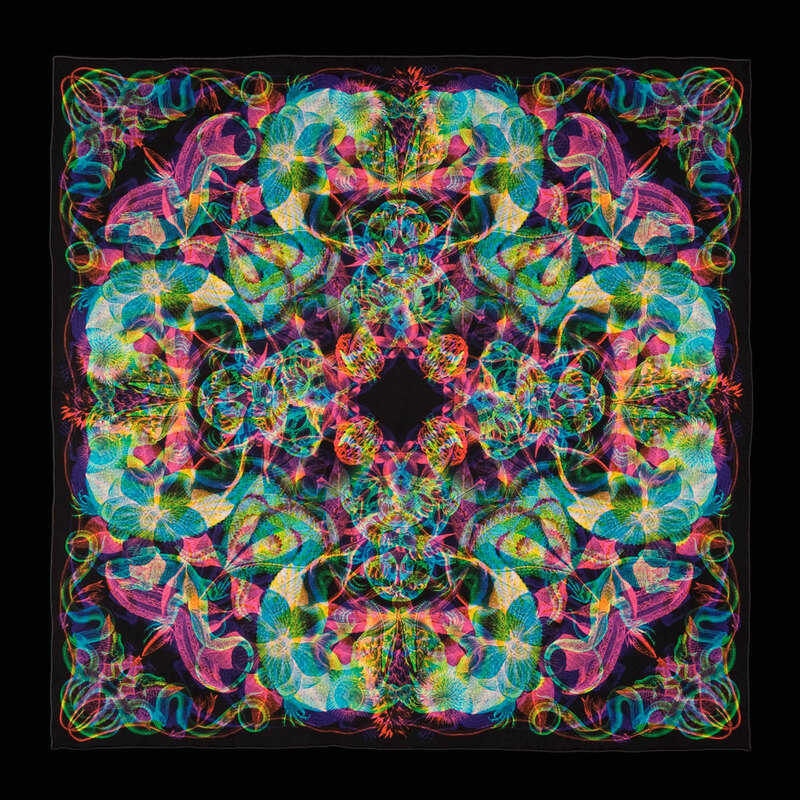 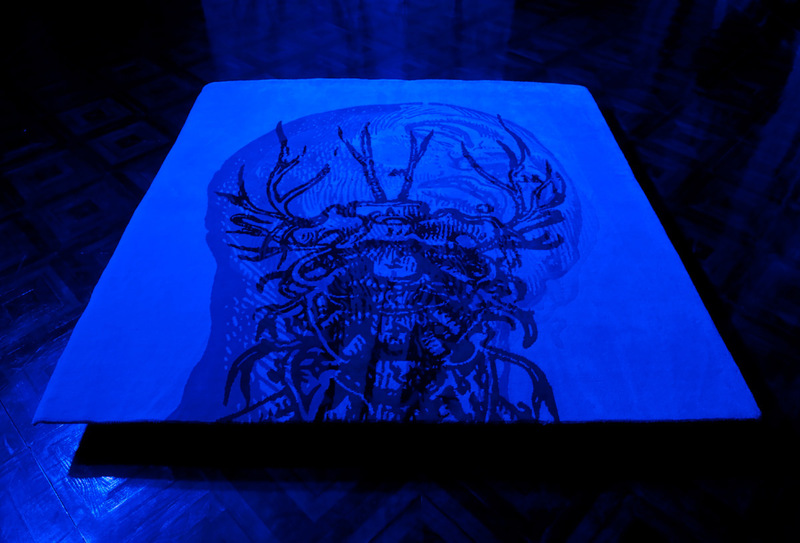 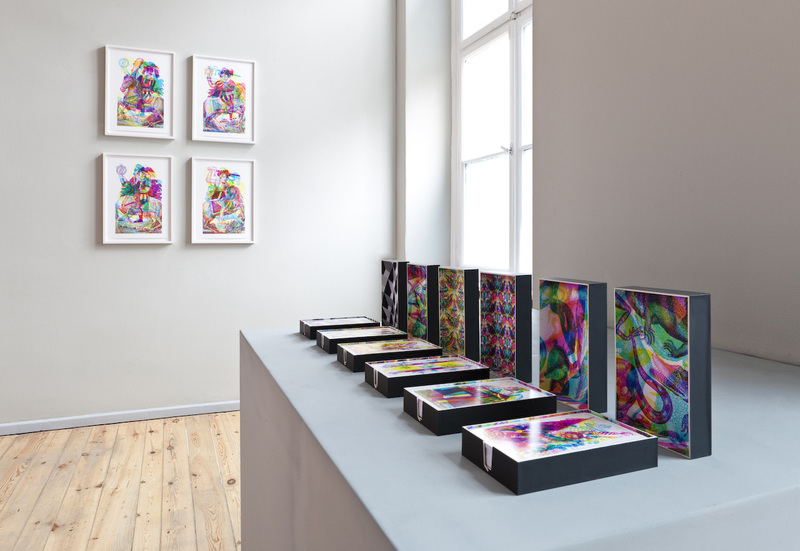 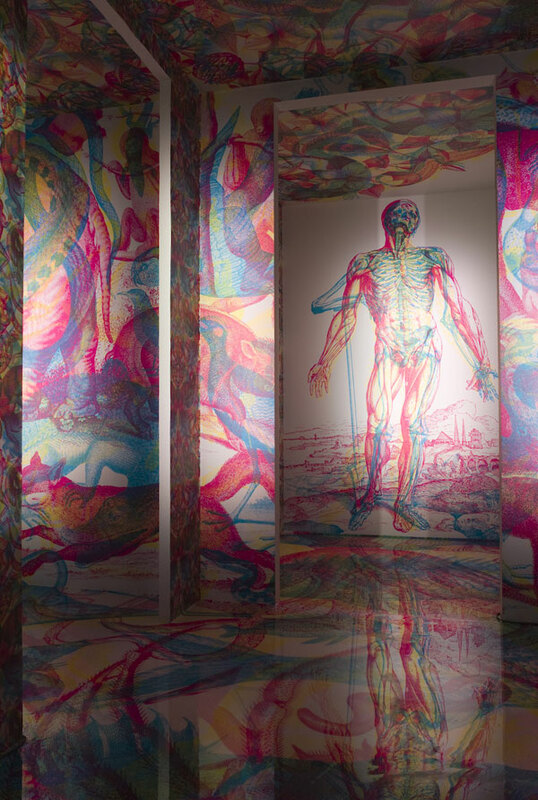 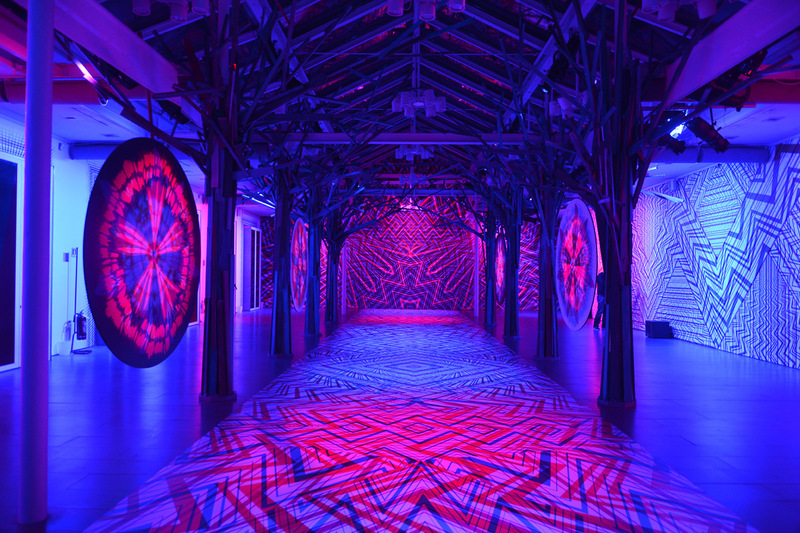 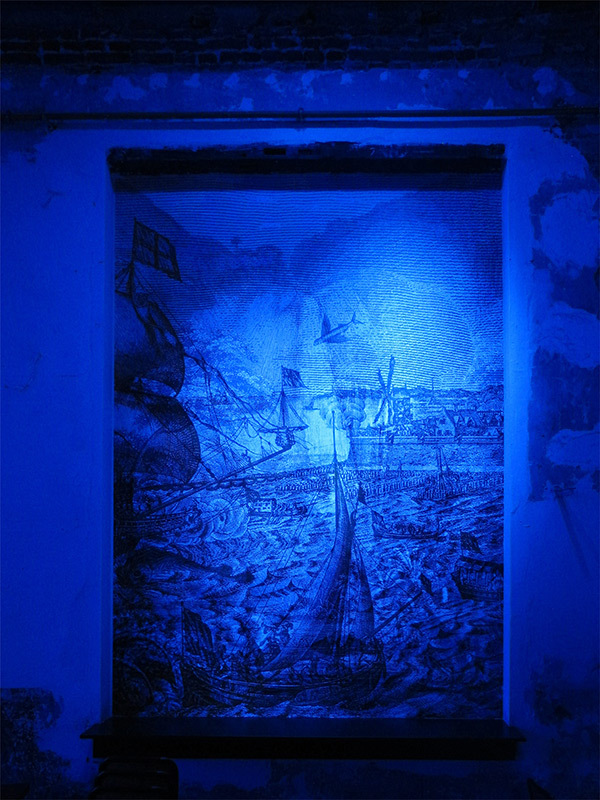 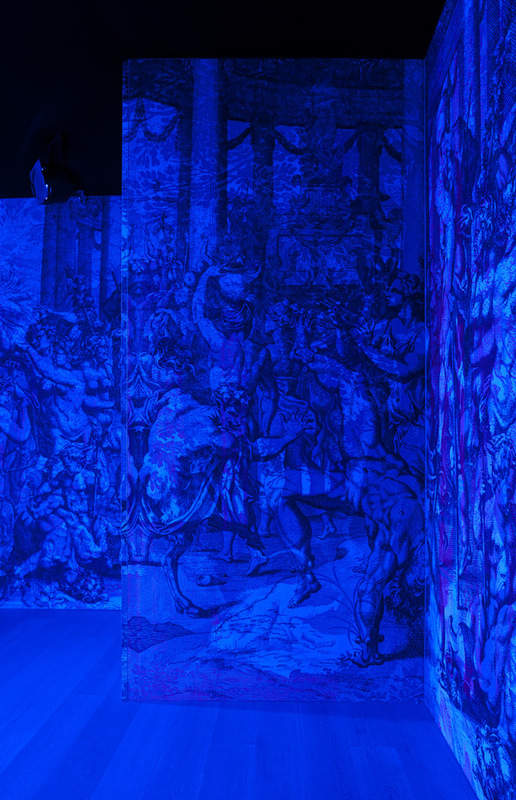 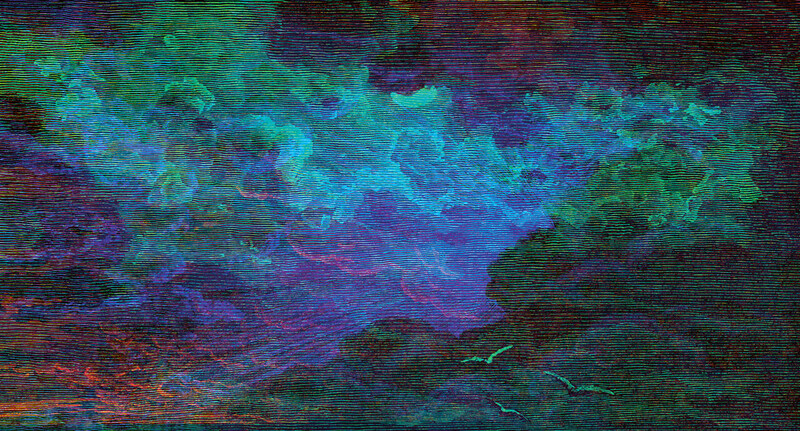 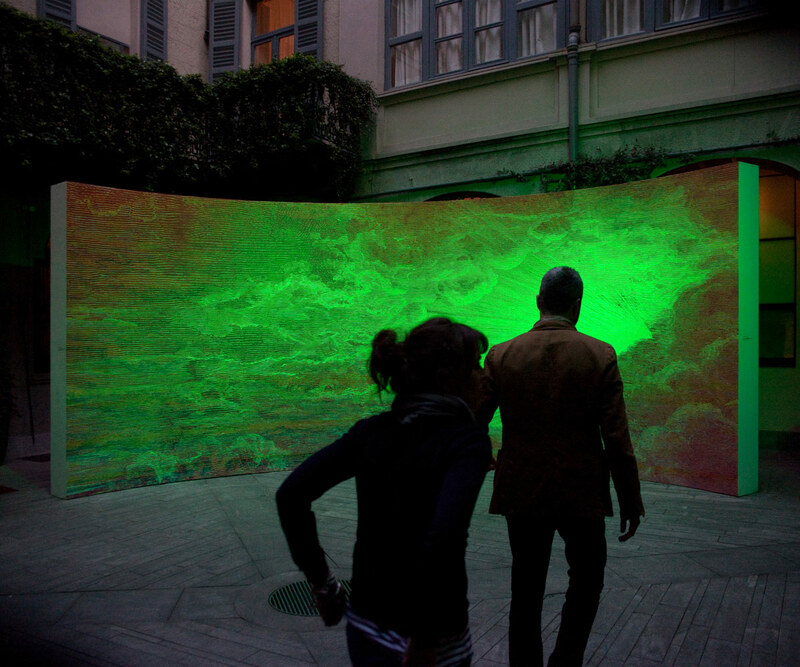 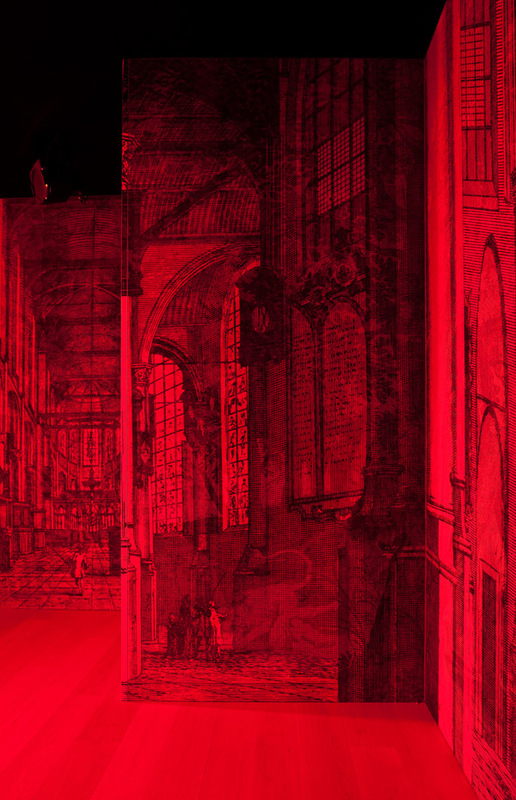 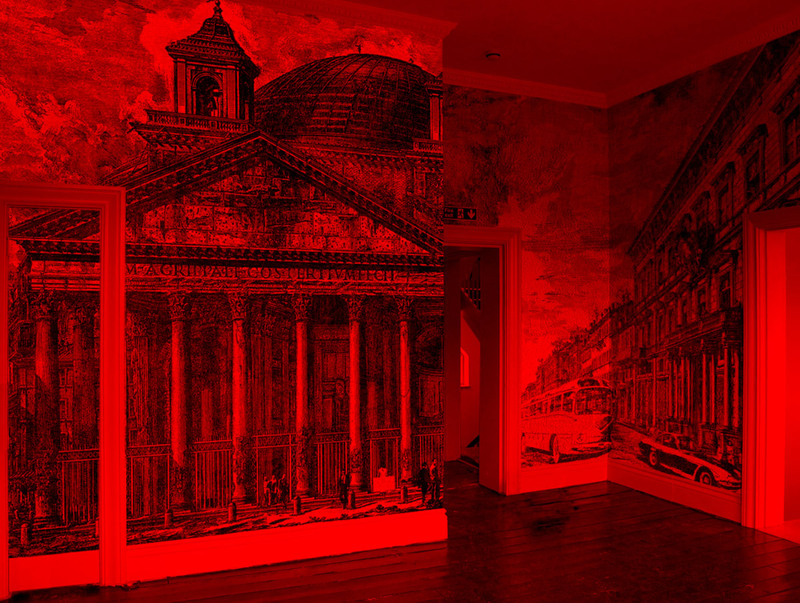 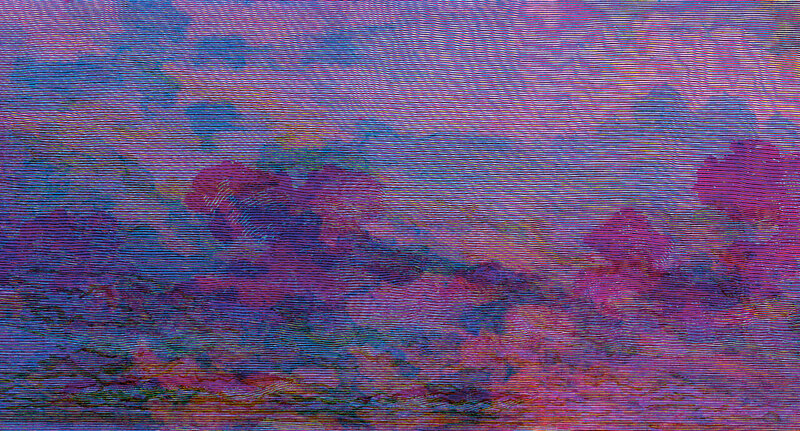 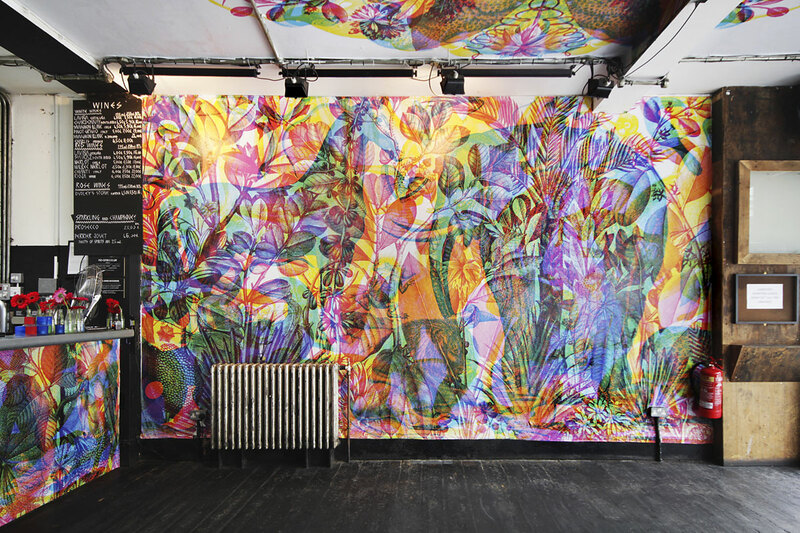 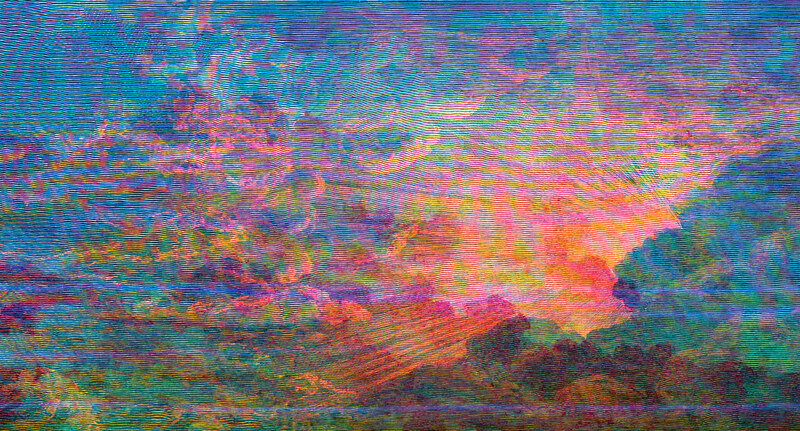 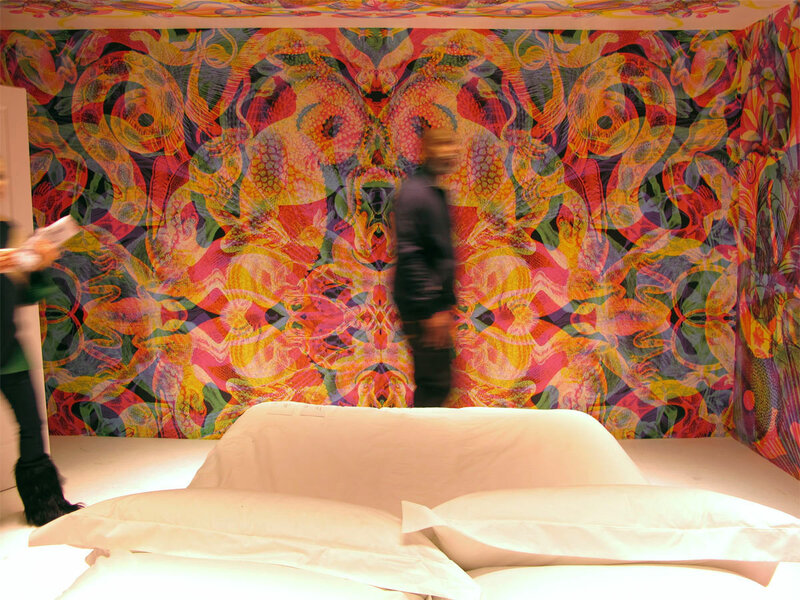 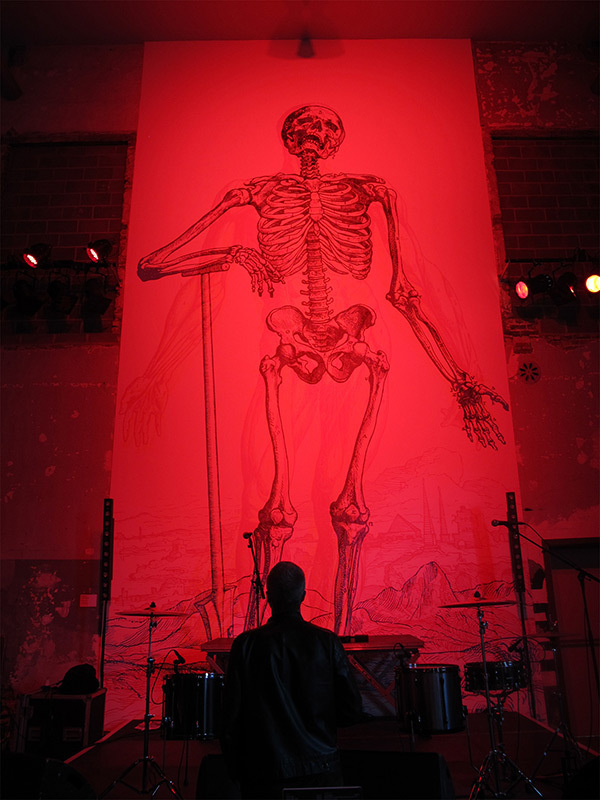 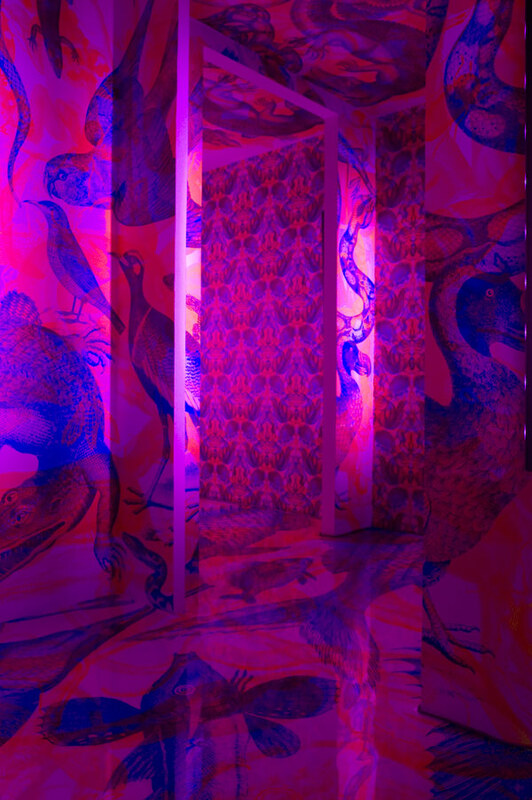 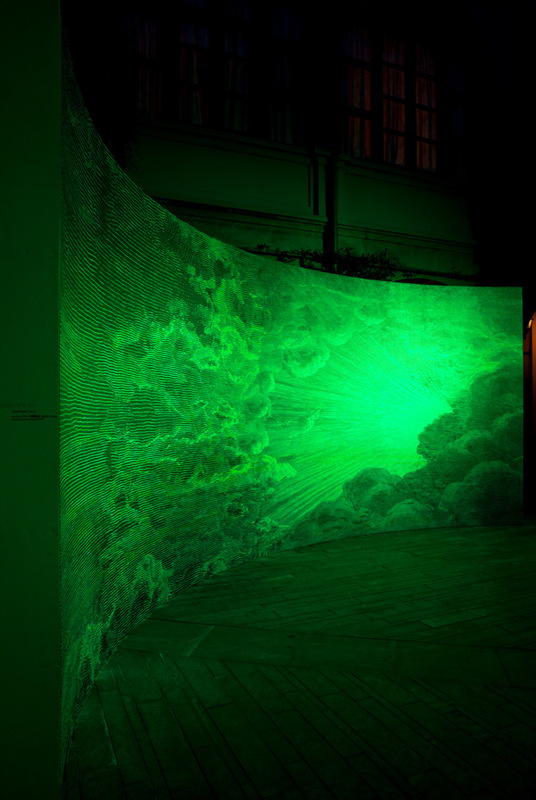 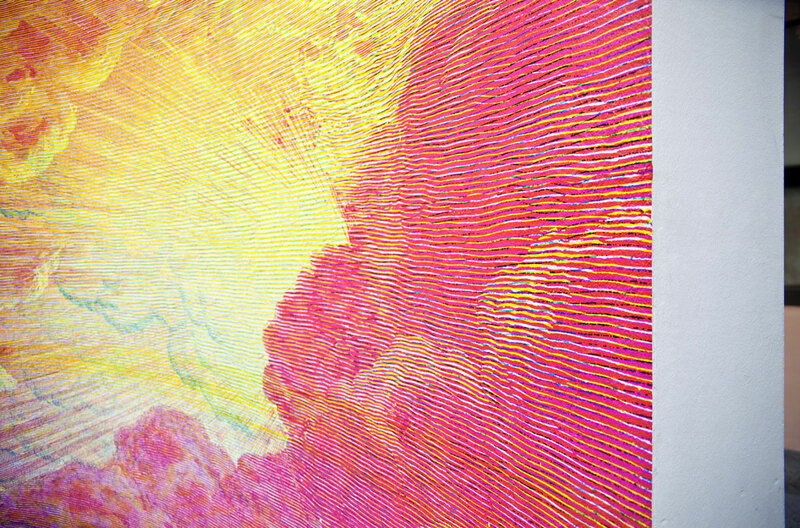 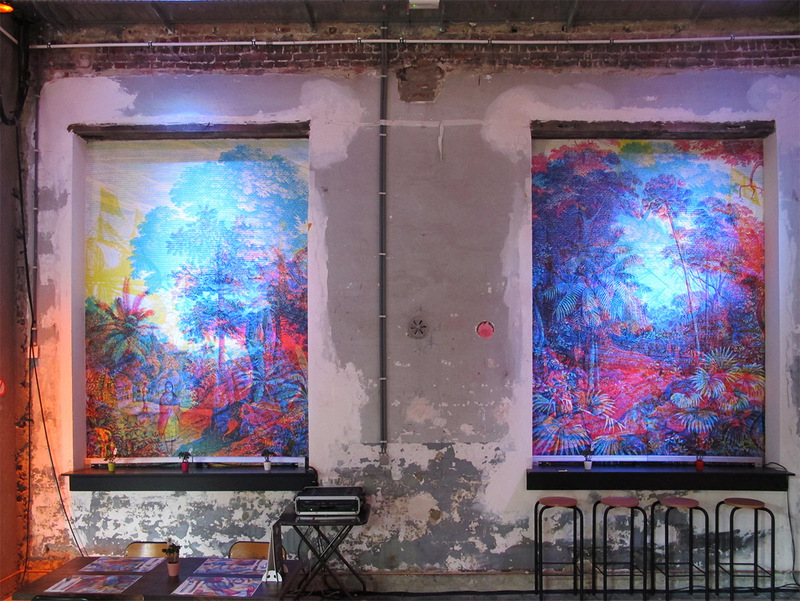 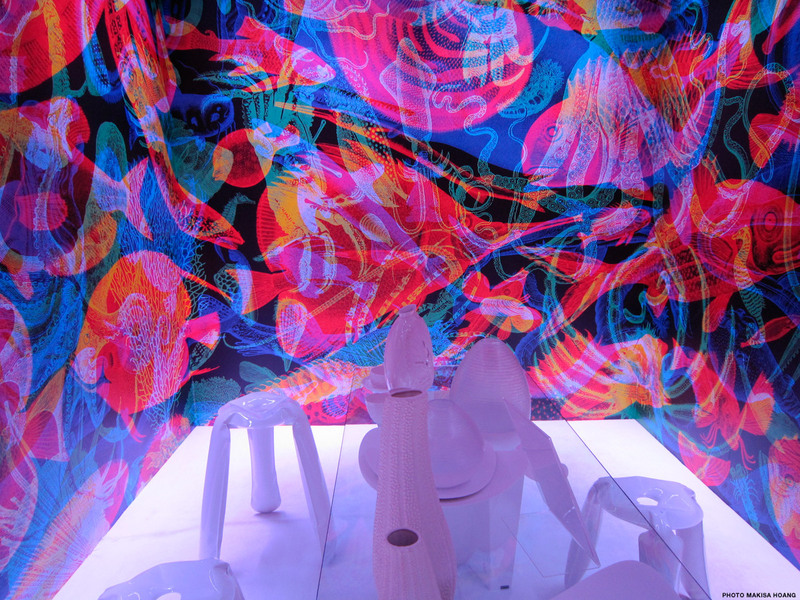 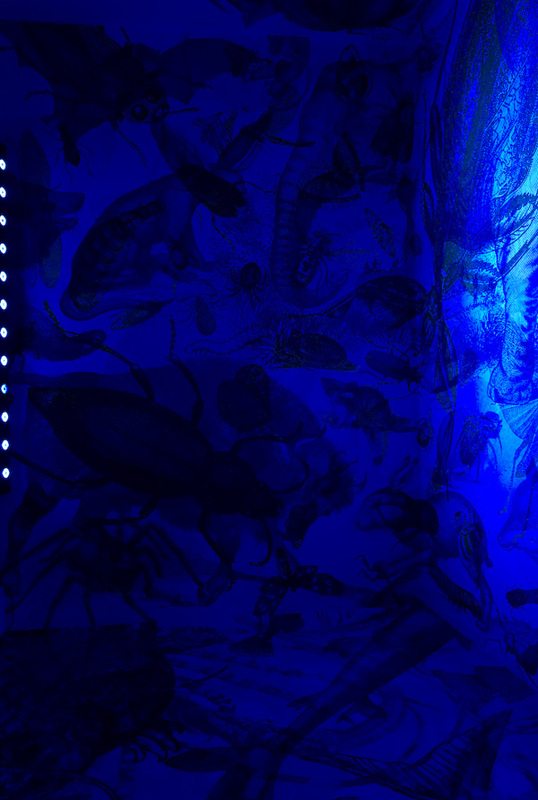 Carnovsky's RGB is an ongoing project that experiments with the interaction between printed and light colours. 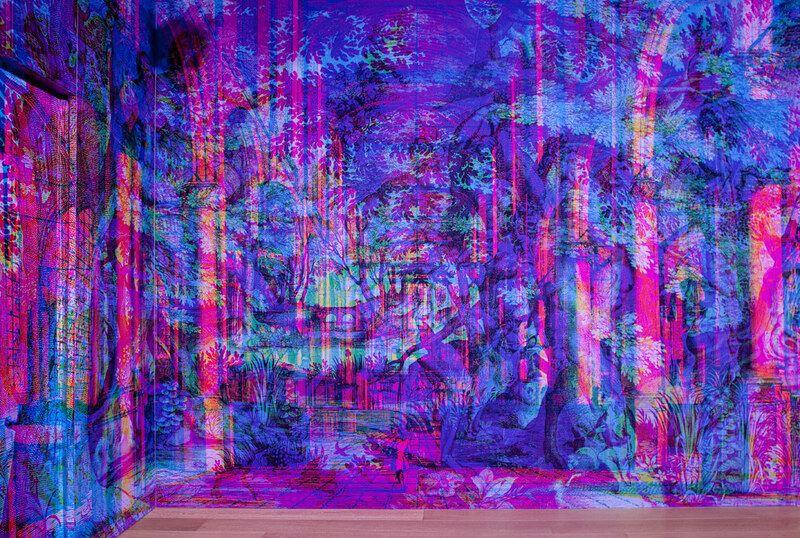 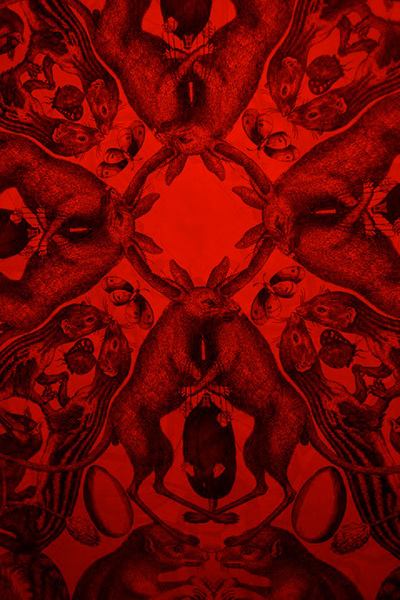 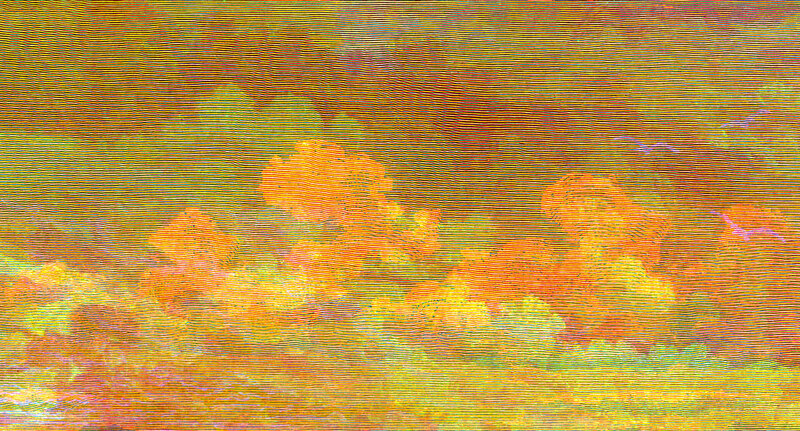 The resulting images are unexpected and disorienting. 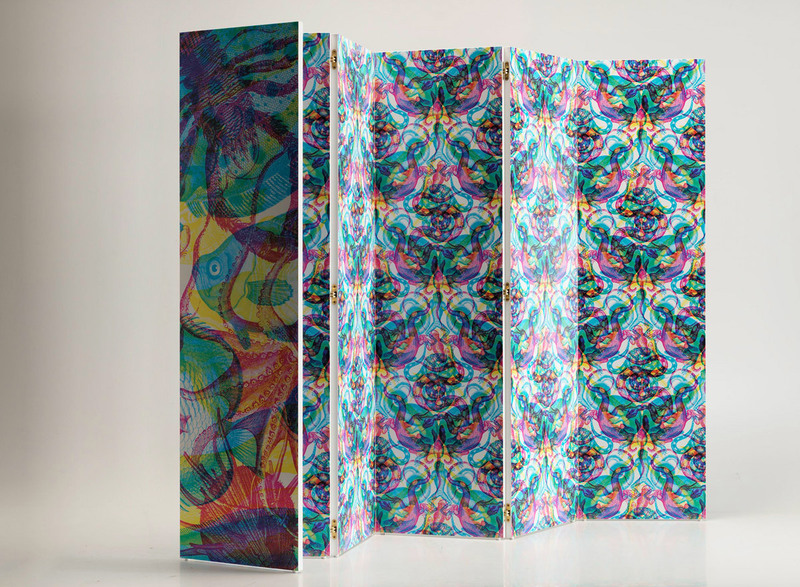 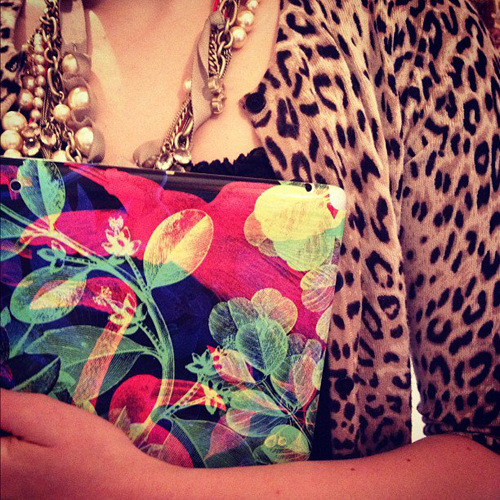 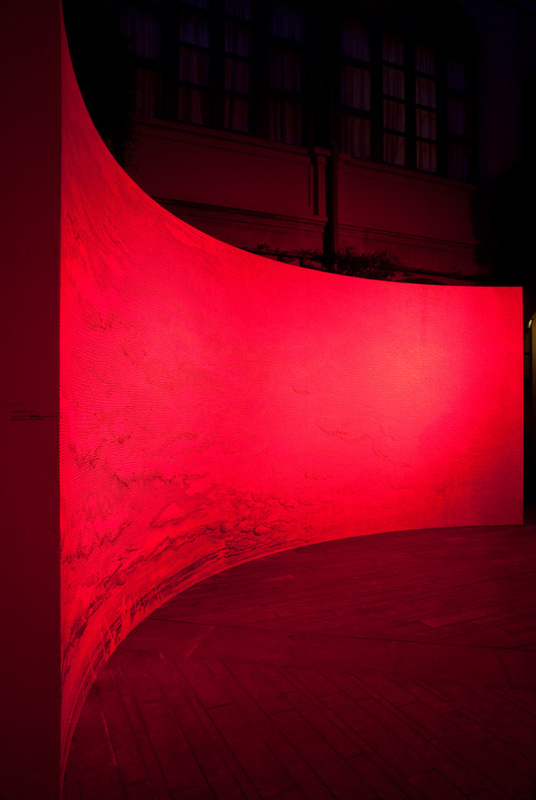 The colors mix up, the lines and shapes entwine becoming oneiric and not completely clear. 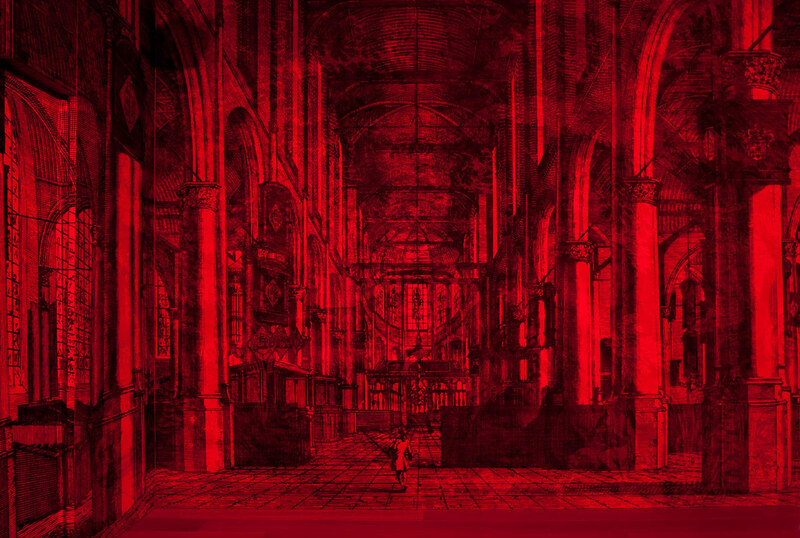 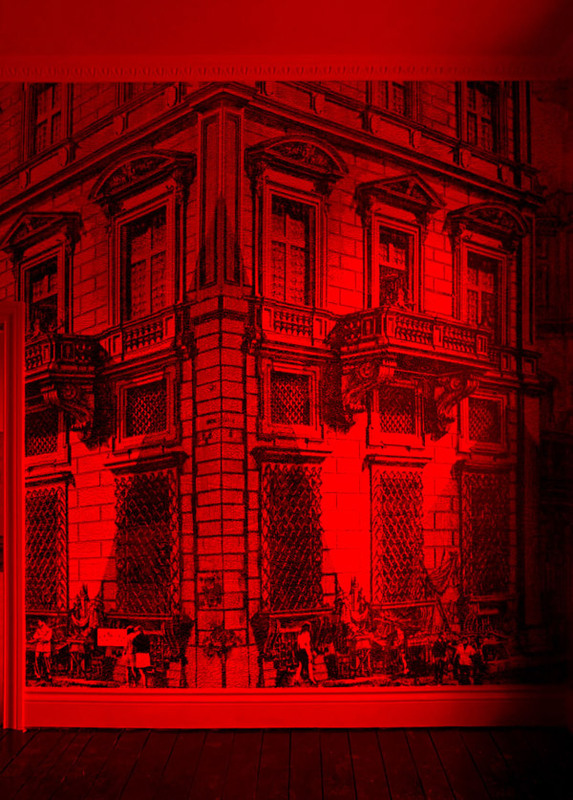 Through a colored filter (a light or a transparent material) it is possible to see clearly the layers in which the image is composed. 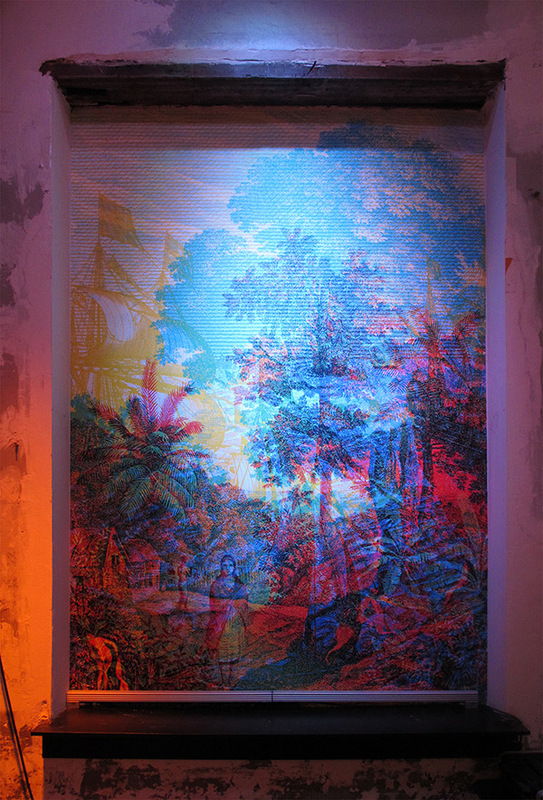 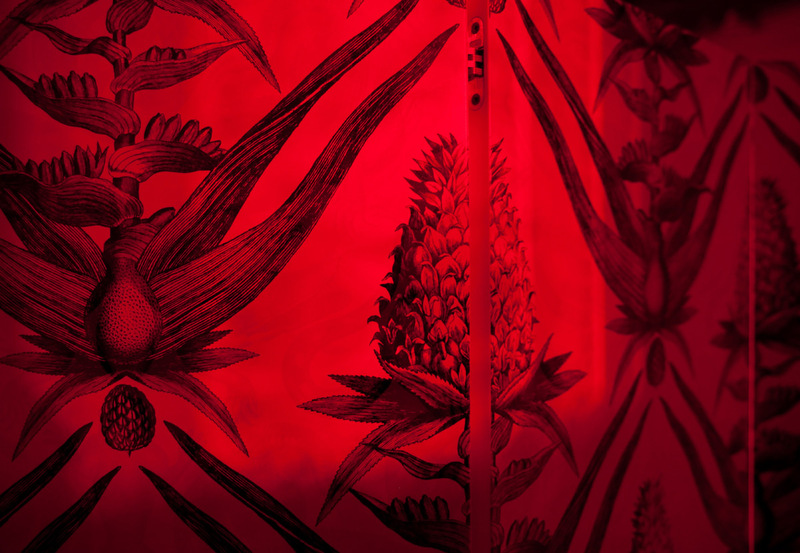 The filter's colors are red, green and blue, each one of them serves to reveal one of the three layers.